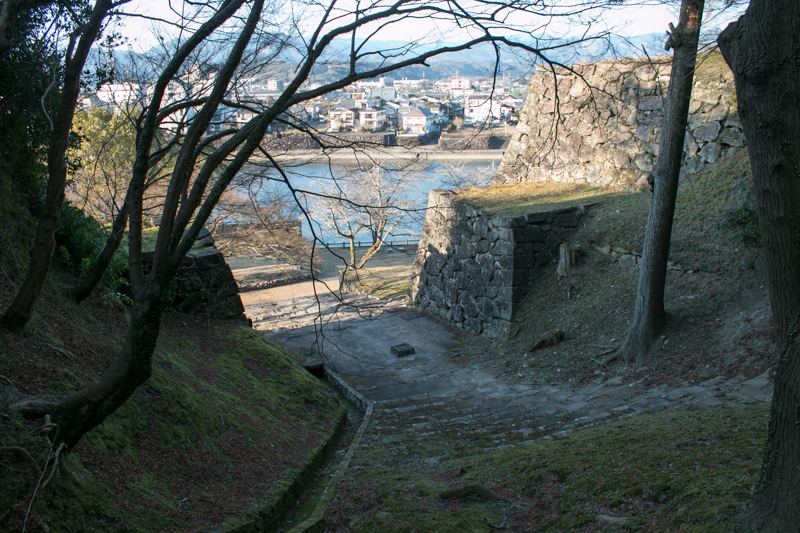 Hitoyoshi castle (人吉城) is located at a hill beside Kumagawa river, a large river flows Hitoyoshi basin to Yatsushiro sea. 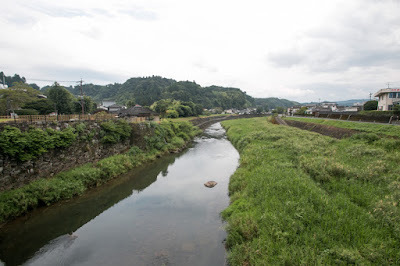 Hitoyoshi basin is a basin of 30 kilometer long and 15 kilometer wide spreads south edge of Higo province (Kumamoto prefecture), and locates at the midst of Kumamoto city and Kagoshima city. 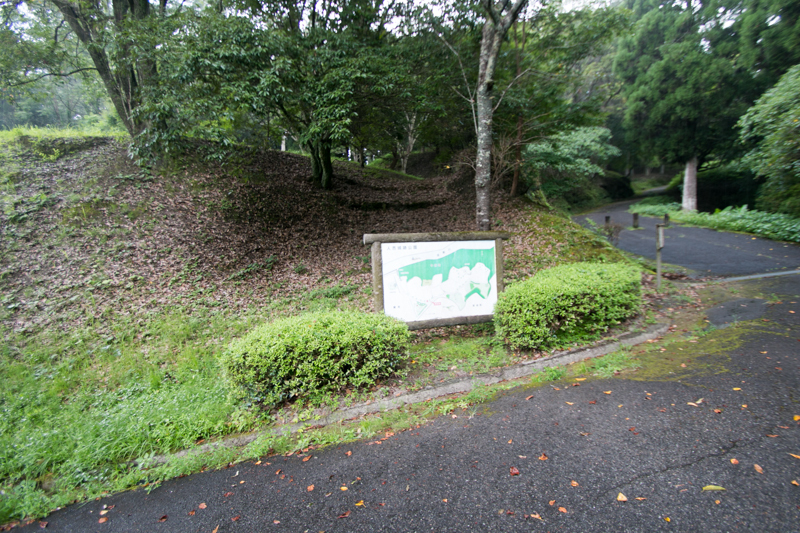 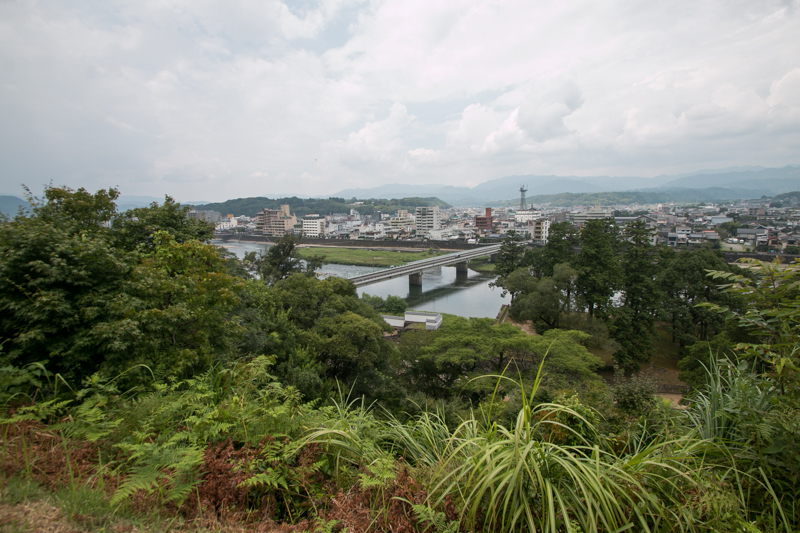 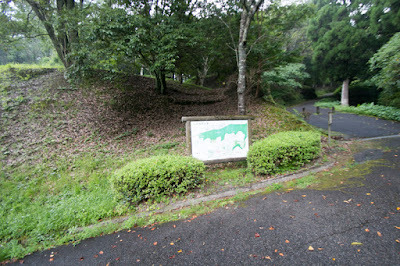 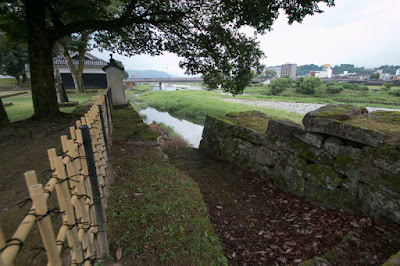 Hitoyoshi basin is an isolated area surrounded by deep mountains, and to enter the basin visitors had to trace the deep valleys of Kumagawa river. 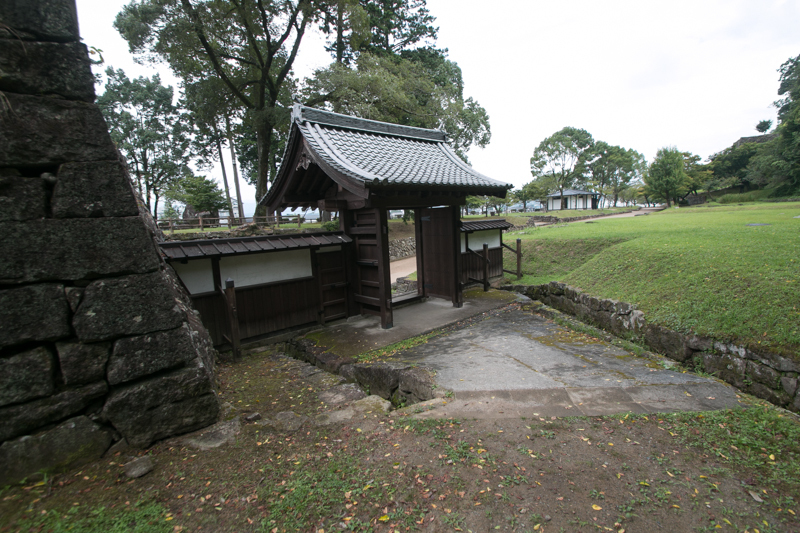 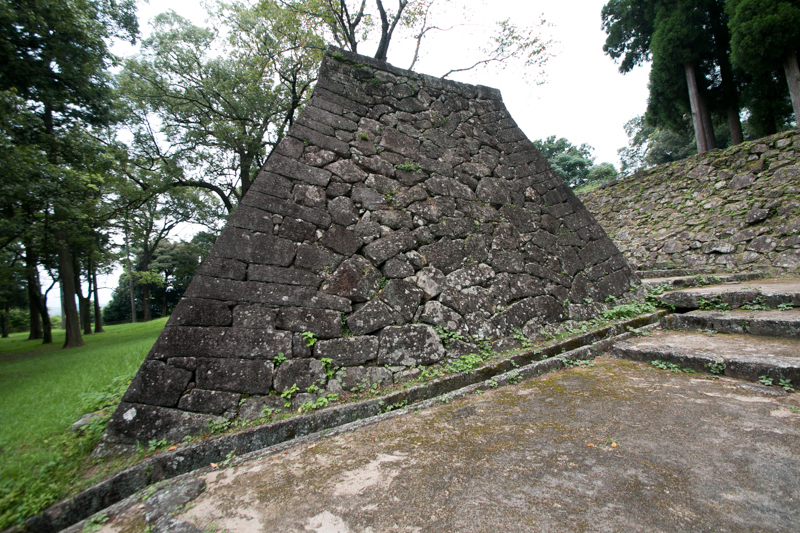 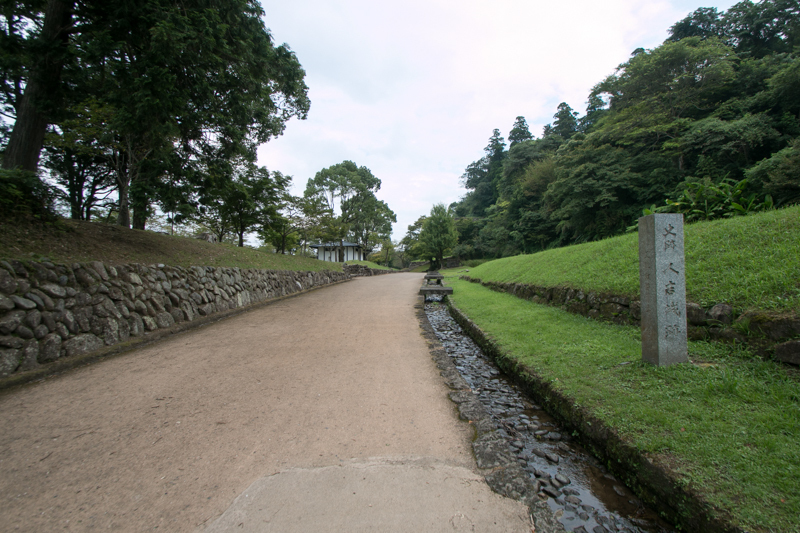 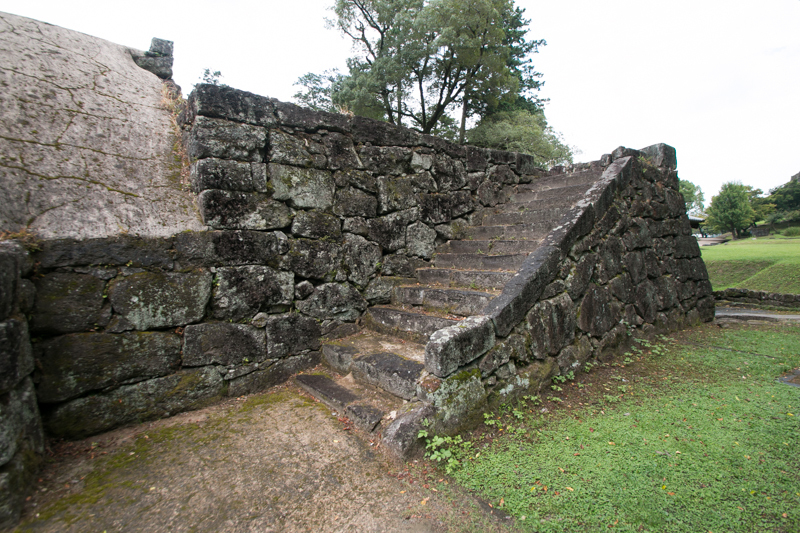 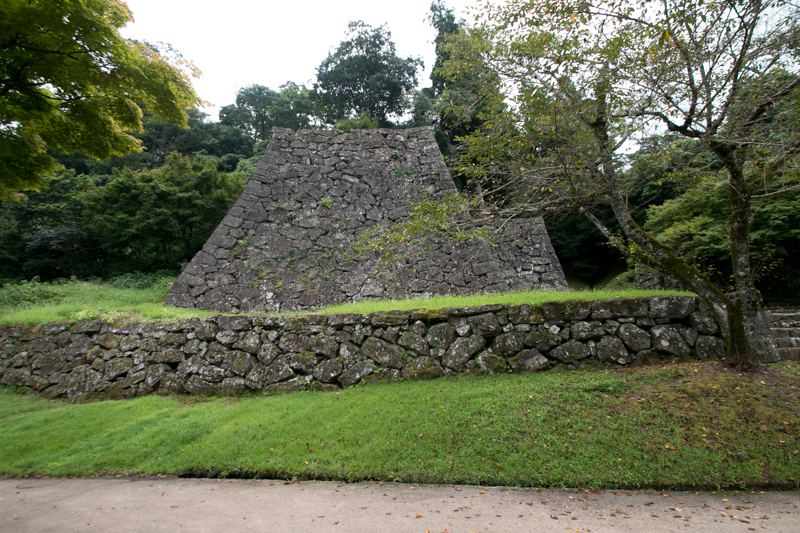 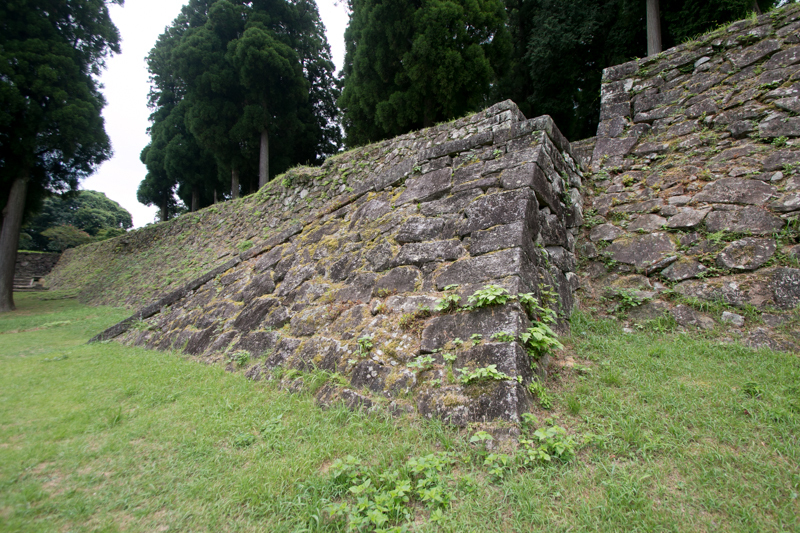 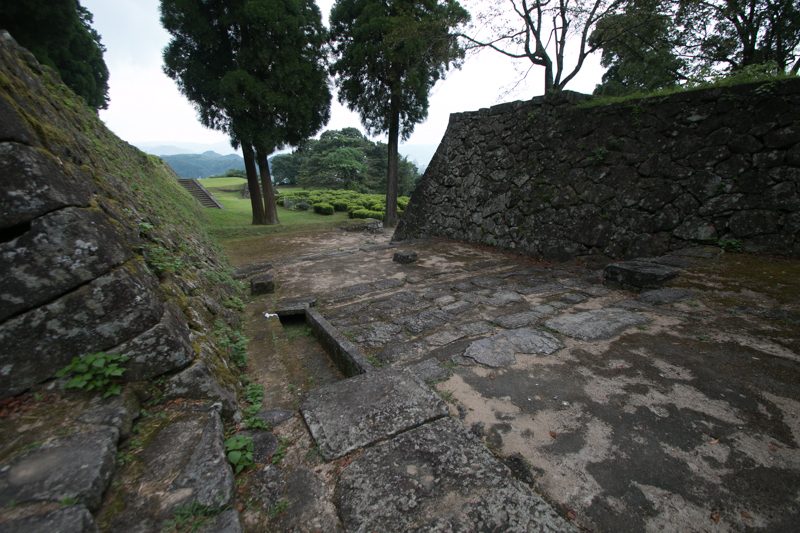 Precise year is unknown but Sagara castle was built by local lord Sagara clan as their residence. Sagara clan was originally a small lord at Sagara area of Suruga province (Shizuoka prefecture), but at the end of 12th century they were appointed as a magistrate of Hitoyoshi area and moved from Sagara area. 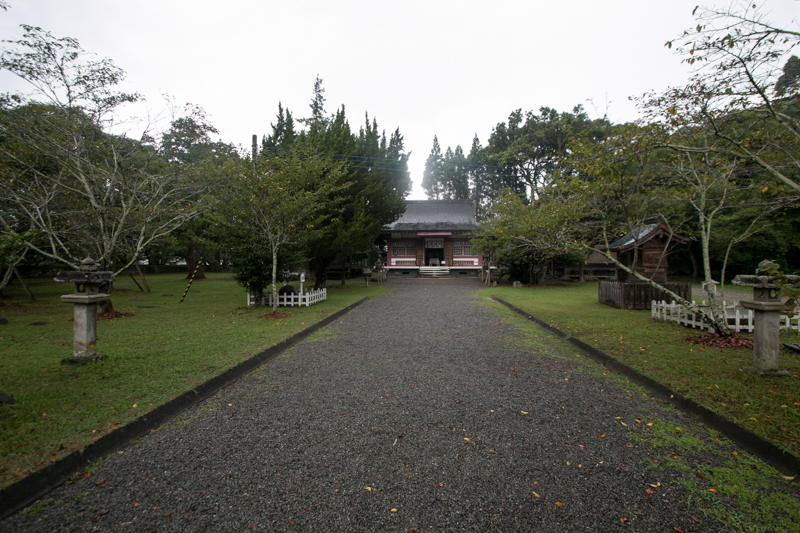 Since then Sagara clan kept Hitoyoshi area over 700 years. At the beginning of Muromachi era, the situation of Kyushu island was unstable. 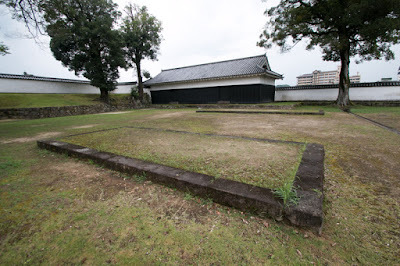 Among the struggle between Emperor Godaigo (1288-1339) who hoped direct governance by Emperor, and Takauji Ashikaga (1305-1358), the leader of Samurais and established Muromachi Shogunate, Kyushu island was once captured by Prince Kaneyoshi (1329-1383) and once became the base of Emperor side. 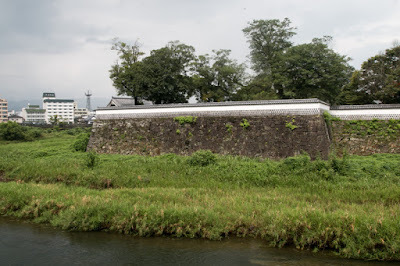 In response to this, Muromachi Shogunate sent their efficient general Sadayo Imagawa (1326-1420) to Kyushu island and he beat Emperor side lords, but Sadayo himself was watched as dangerous and finally removed. 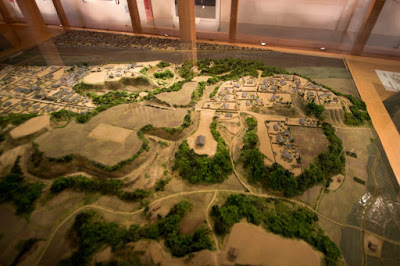 Among such situation, Sagara clan divided into small parties and conflicted each other. 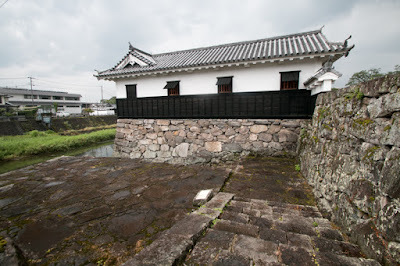 Finally Nagatsugu Sagara (1411-1468) united other houses of Sagara clan and became a warlord of Hitoyoshi basin. 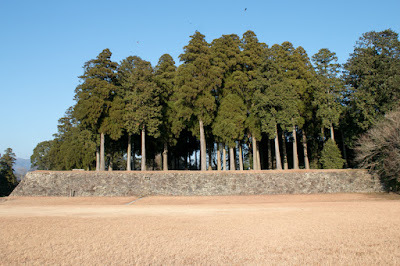 Next Sagara clan intervened conflicts of Kikuchi clan, the governor of Higo province or Shimazu clan, one of Satsuma province (Kagoshima prefecture), and once expanded their territory outside of Hitoyoshi basin. 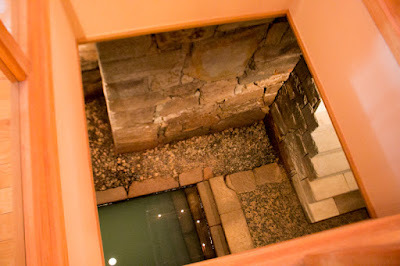 But at the former half of 16th century, Sagara clan lost their power due to internal conflicts. 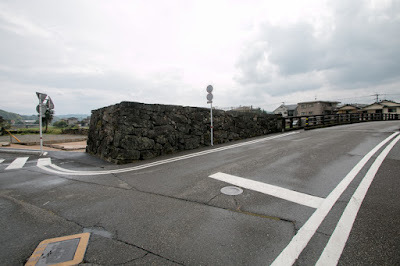 At the middle of 16th century, Haruhiro Sagara (1513-1555) succeeded the leader position. 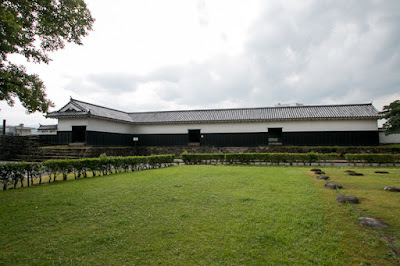 Haruhiro succeeded stable situation from his father, and Sagara clan became its peak period at the time of Haruhiro. 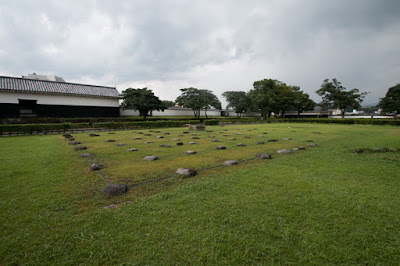 Domestically Haruhiro engaged in the foreign trade to China from Yatsushiro port and got wealth from it, and published their house rule "Shikimoku 21 jyou" (House rule of 21 articles). 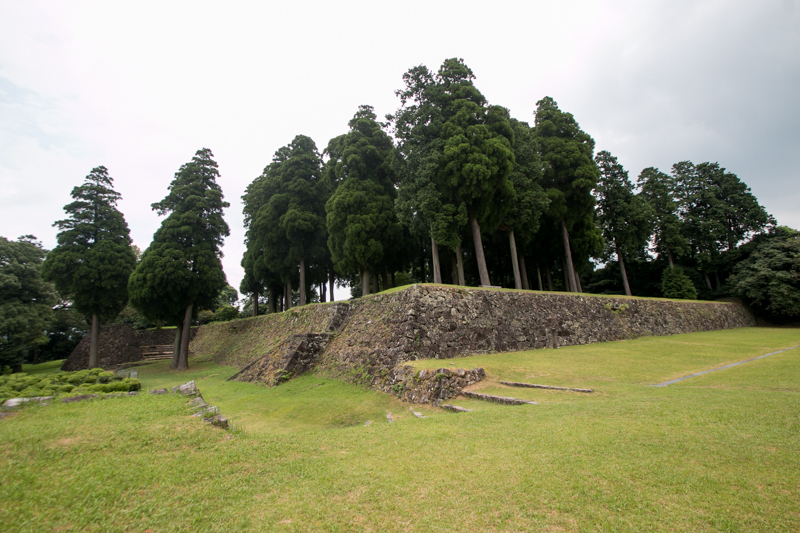 Haruhiro also kept apart from the conflicts of Shimazu clan or Otomo clan, and kept good relationship with such large power. 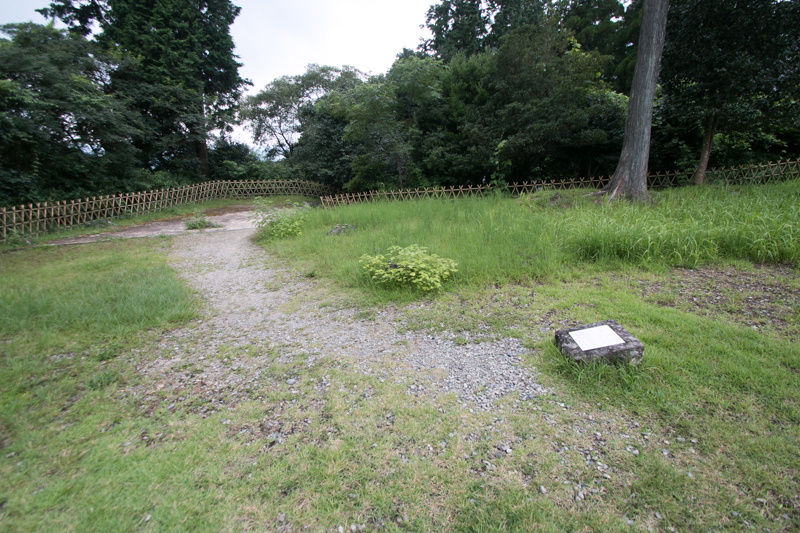 But unfortunately Haruhiro died only in 42 years. After the death of Haruhiro, Shimazu clan which confused by internal conflict long time at last united the house and started expansion toward north. Yoshiharu Sagara (1544-1581), son of Haruhiro, tried to cope with Shimazu clan in cooperation with Ito clan, the governor of Hyuga province (Miyazaki prefecture). 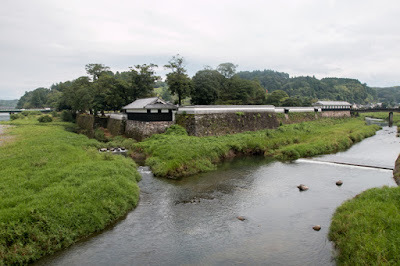 But Ito clan was defeated by Shimazu clan and lost their power, and Yoshishge Otomo (1530-1587, famous as Sorin), another strong warlord of Bungo province (Oita prefecture) and who supported the revival of Ito clan, suffered fatal defeat by Shimazu army at the battle of Mimikawa in 1578. 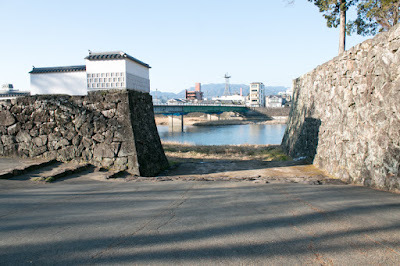 In 1579, Shimazu army finally started invasion to the territory of Sagara clan. Coast area territory such as Minamata or Yatsushiro was captured by Shimazu clan, and Yoshiharu at last surrendered to Shimazu clan in 1581. At the same year Shimazu clan forced Yoshiharu to attack Aso clan, another large local lord of Higo province. 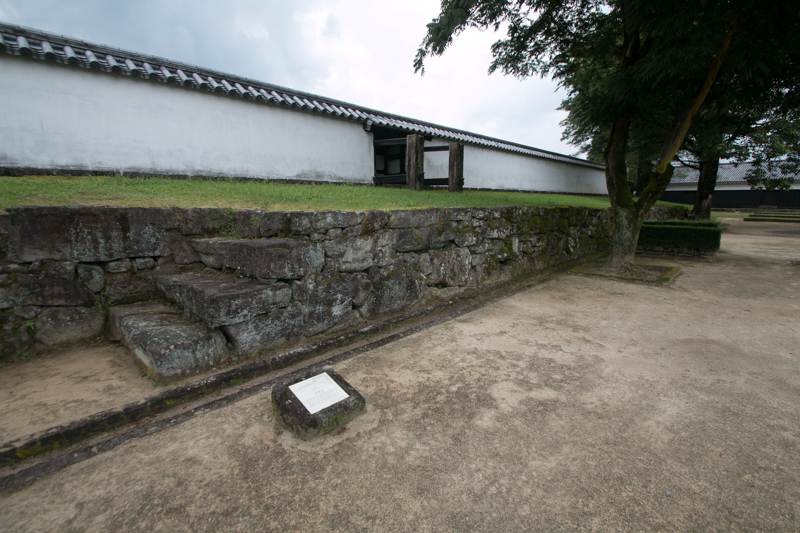 Yoshiharu was reluctant but had no other way to do so, but faced the counter attack of Chikanao Kai (1515-1585), a brilliant general of Aso clan, and died in the battle. Sagara clan was on the corner of extinction. 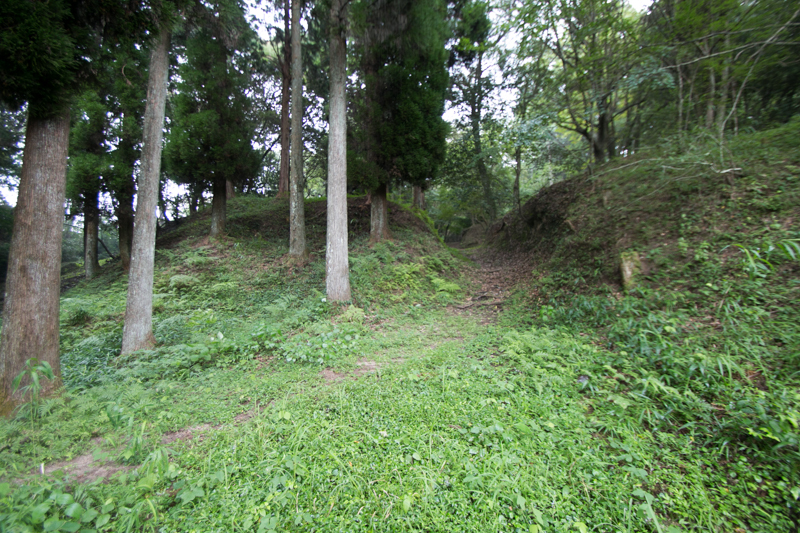 But Sagara clan survived next 20 year turbulent period. 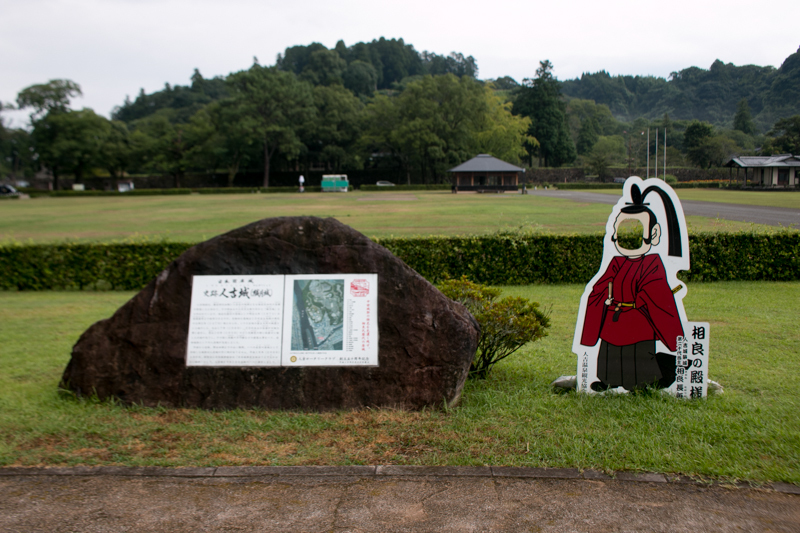 Yorifusa Sagara (1574-1636), next leader of Yoshiharu, once belonged to Shimazu clan and participated in their campaign against Otomo clan. But when central ruler Hideyoshi Toyotomi (1537-1598) started his campaign against Shimazu clan and landed at Kyushu island, his important retainer Nagatomo Fukami (1532-1590) who was good at negotiation and Renga (game of making sequential poems in turn) skillfully negotiated with Hideyoshi and Sagara clan was forgiven by Hideyoshi. 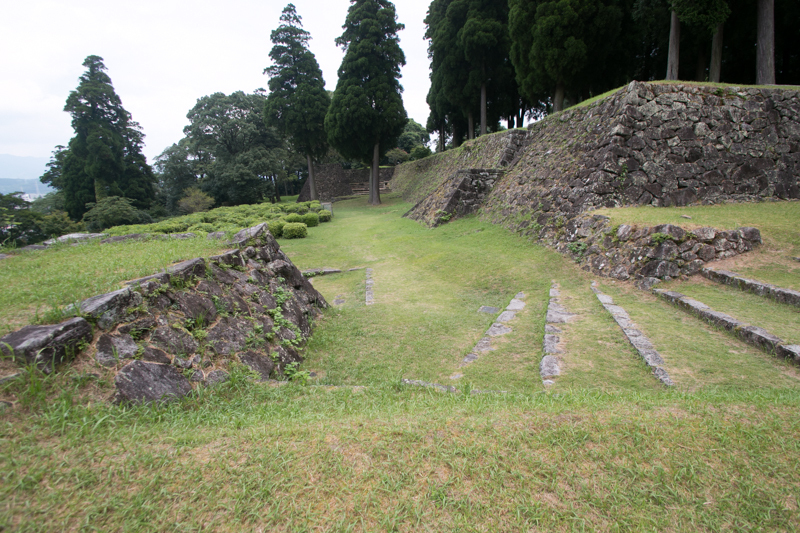 At the time of rebellion of local lords against Hideyoshi in 1587, Sagara clan kept neutral and avoided punishment. After the death of Hideyoshi in 1598, the battle of Sekigahara occurred between Ieyasu Tokugawa (1543-1616), the largest lord under Toyotomi government, and Mitsunari Ishida (1560-1600), the chief administrative staff of the government. 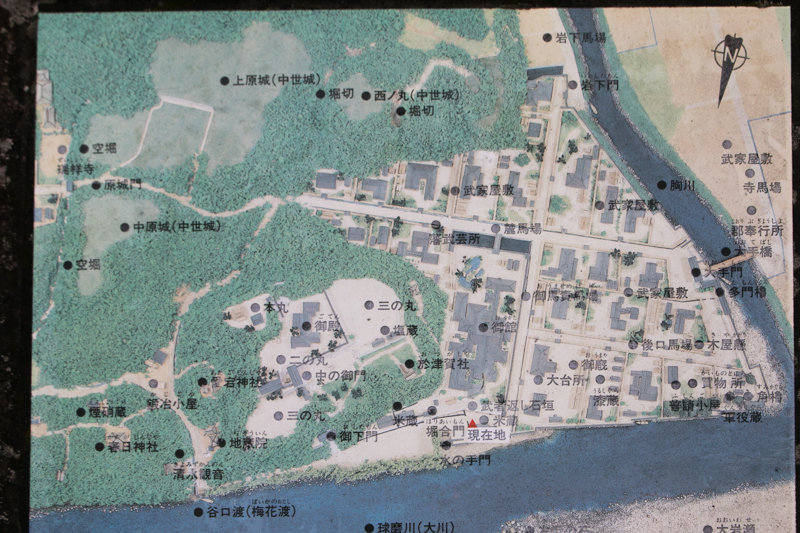 Yorifusa Sagara at first participated in Ishida side same as other small lords of Kyushu island, but also communicated with Tokugawa side. At the time of actual battle Sagara clan stayed and protected Ogaki castle (Gifu prefecture), but just after the victory of Tokugawa side at the battle, Yorifusa cooperated with Akizuki clan and Takahashi clan and killed the commander of Ogaki castle, then opened it. Because of this action, Sagara clan could continue as a small lord of Hitoyoshi basin in Edo era. 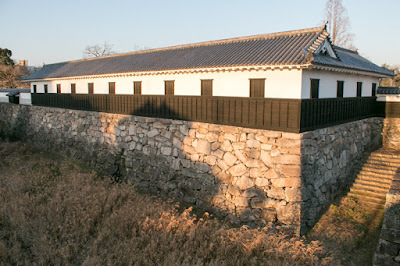 Yorifusa who became the feudal lord under Edo government renovated Hitoyoshi castle as his residence. 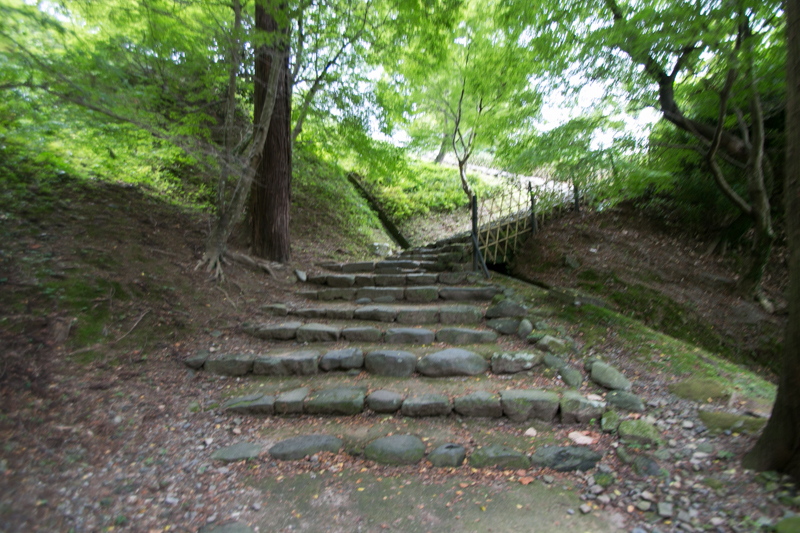 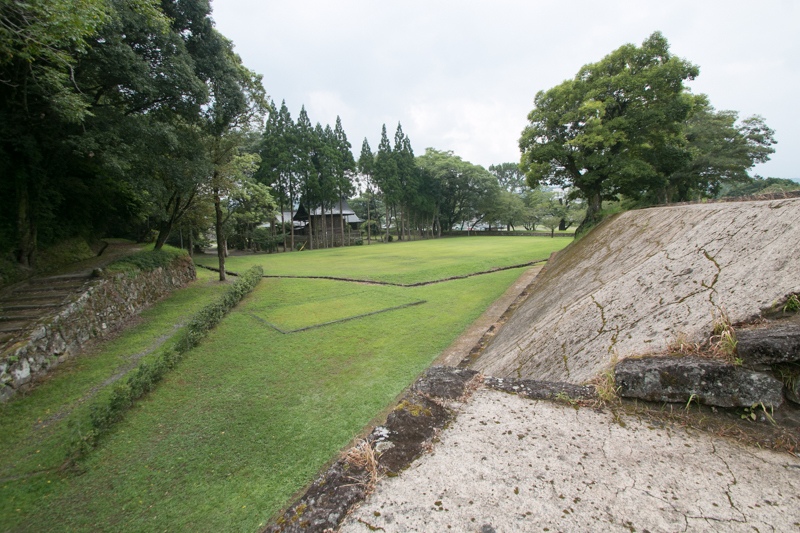 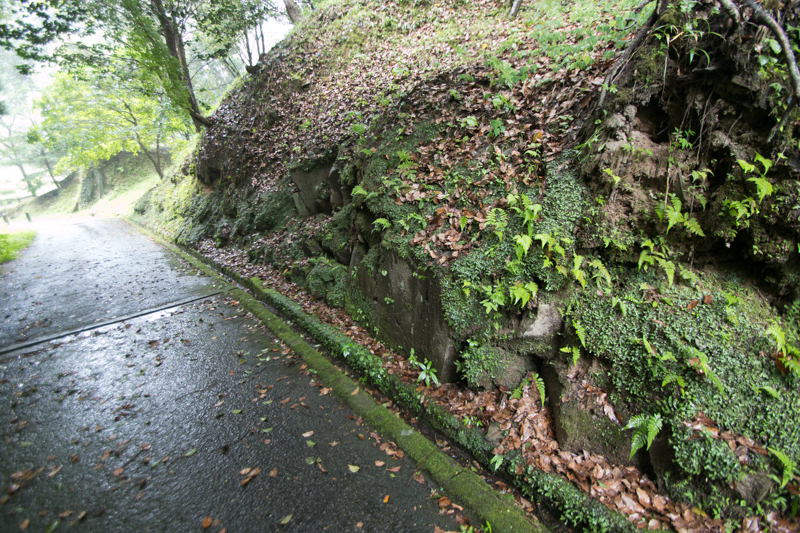 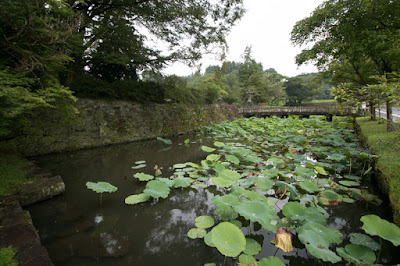 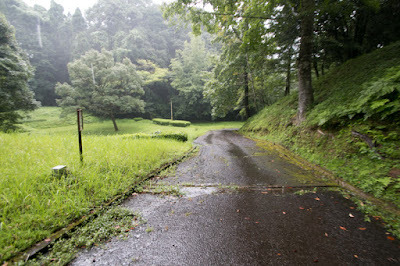 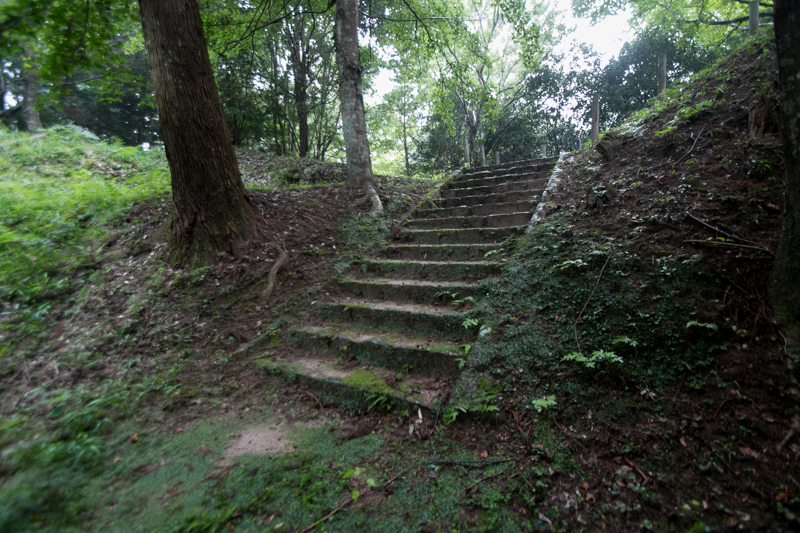 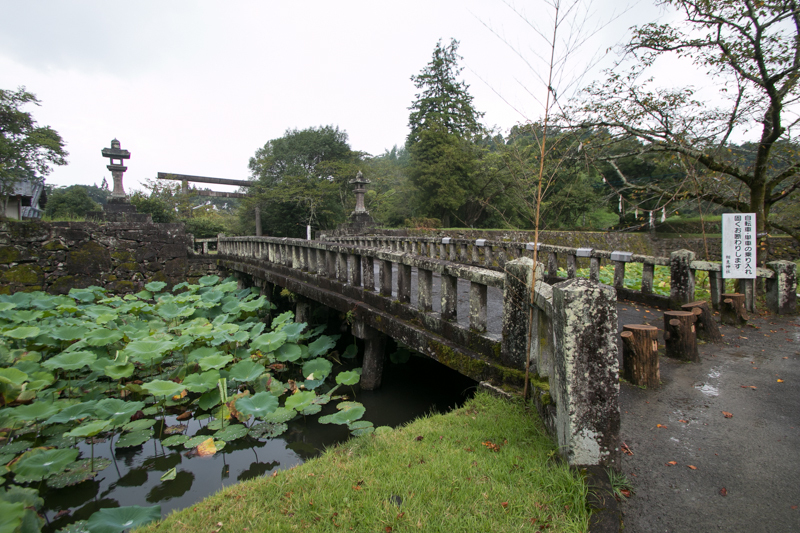 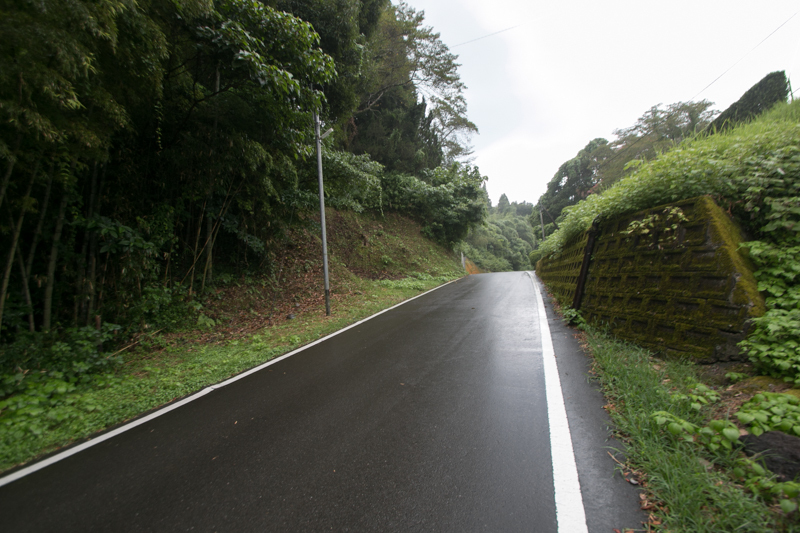 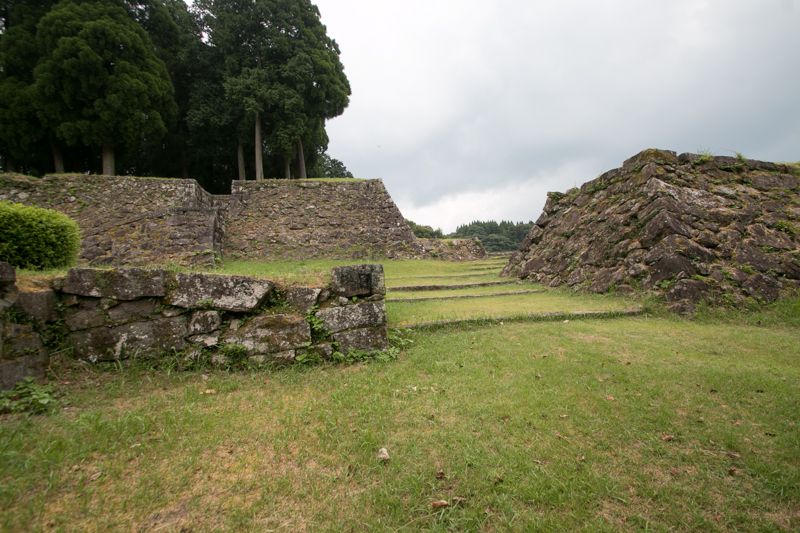 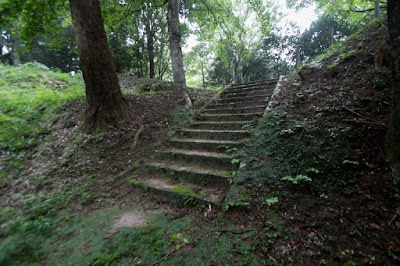 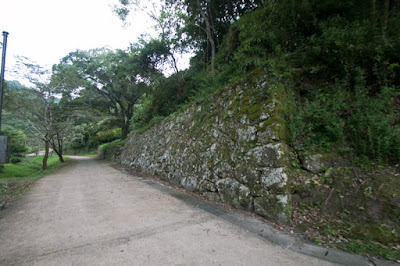 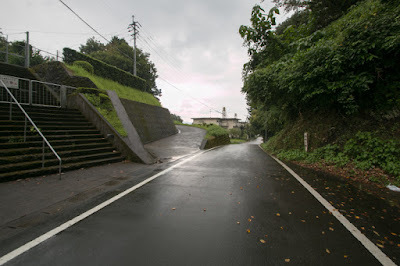 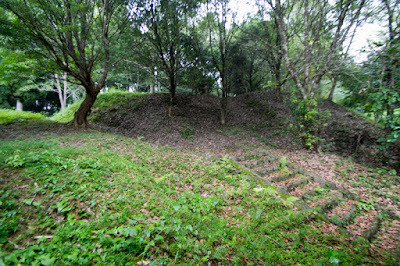 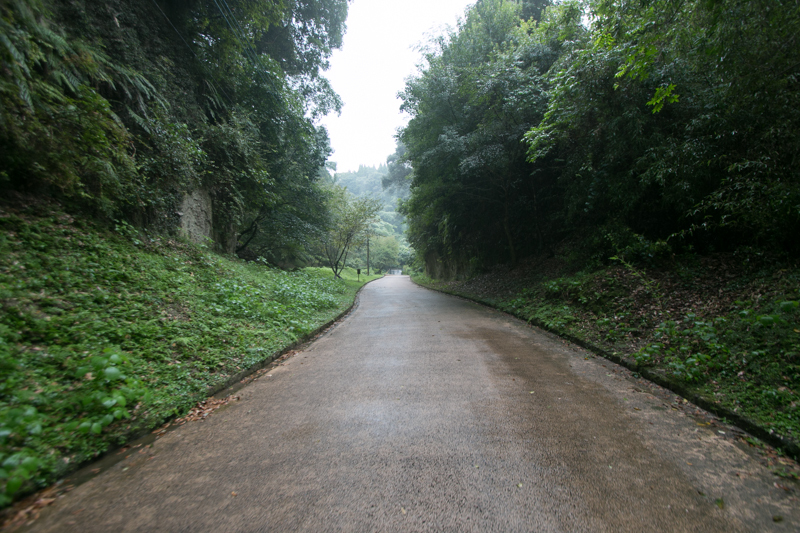 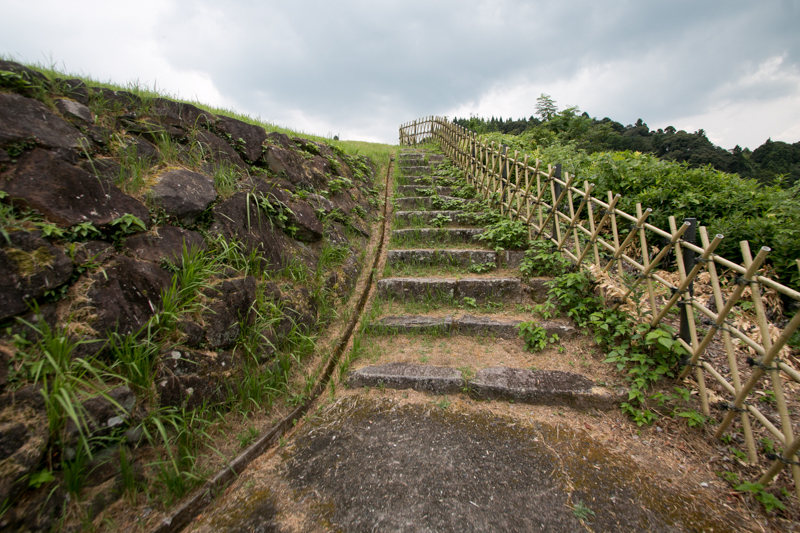 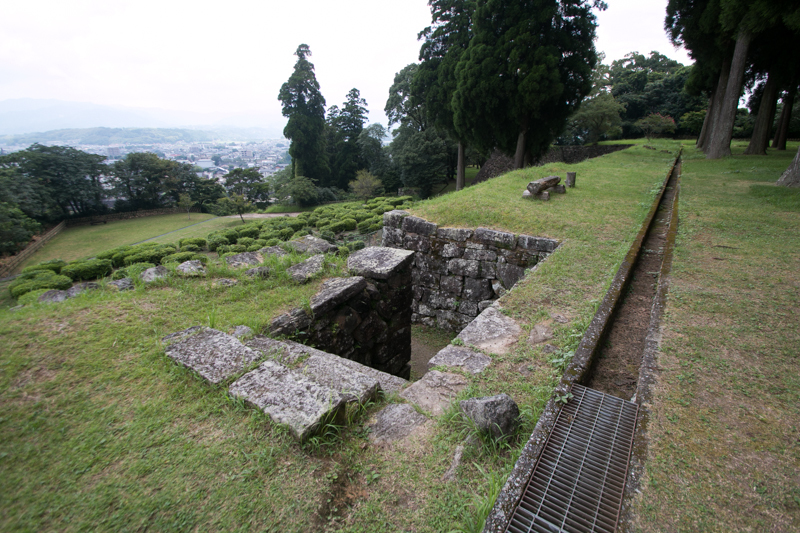 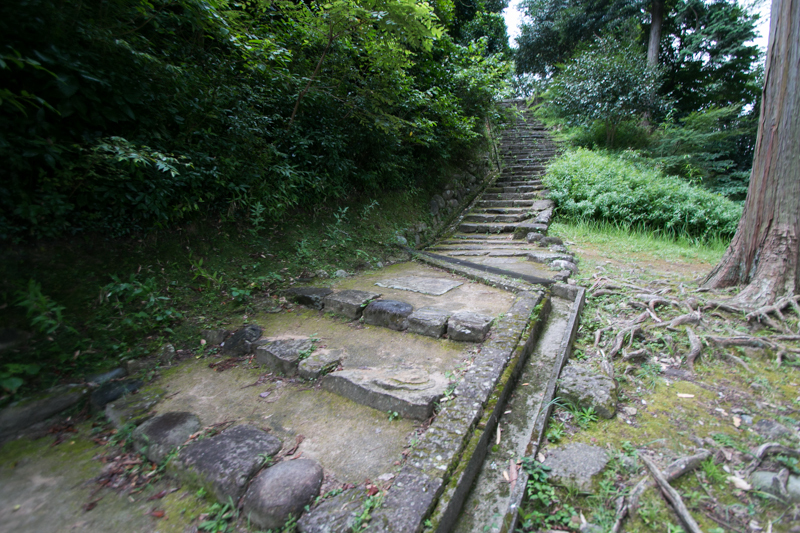 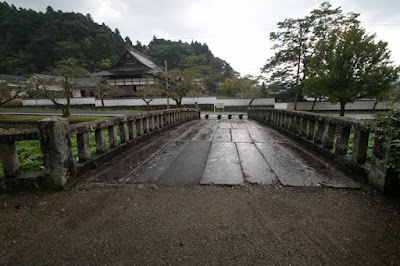 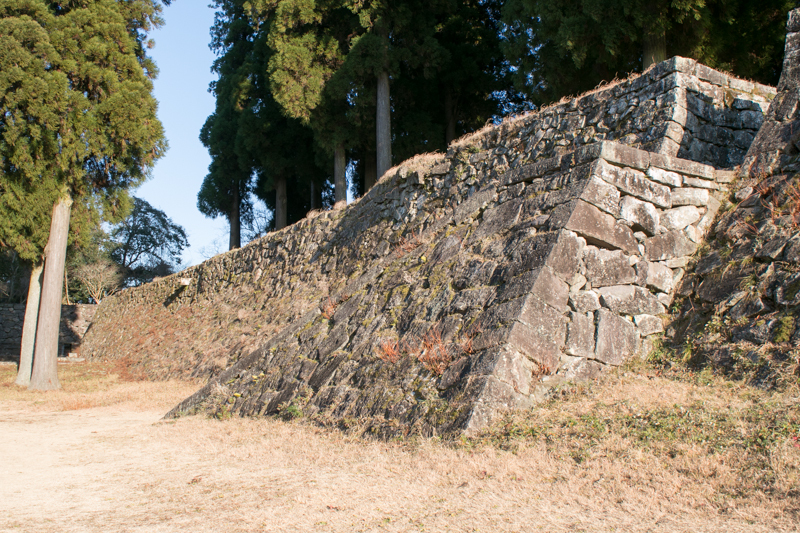 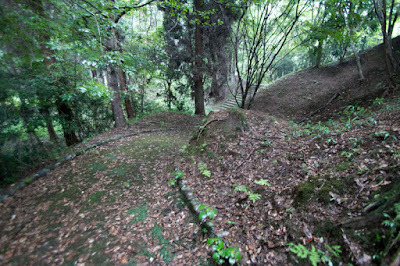 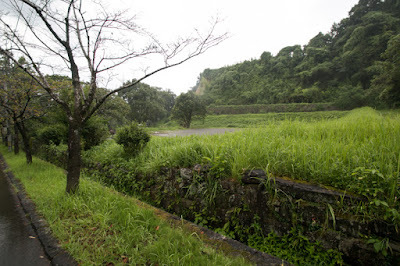 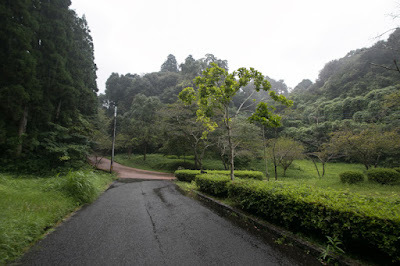 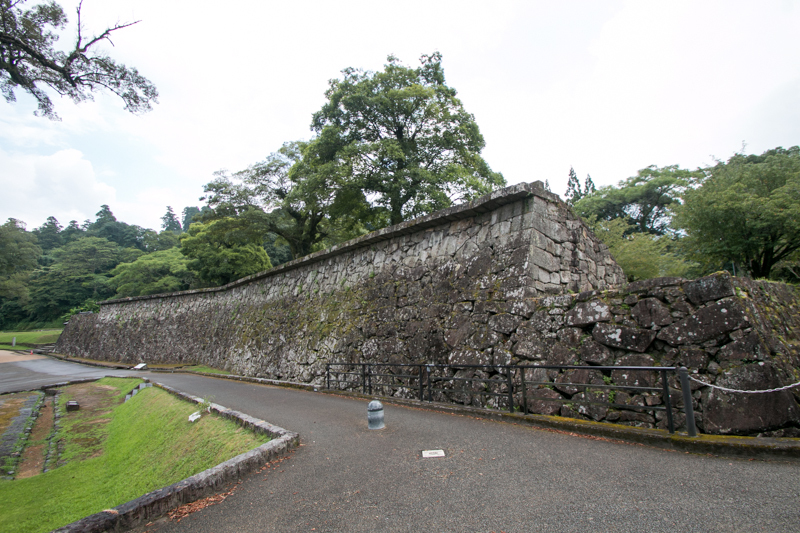 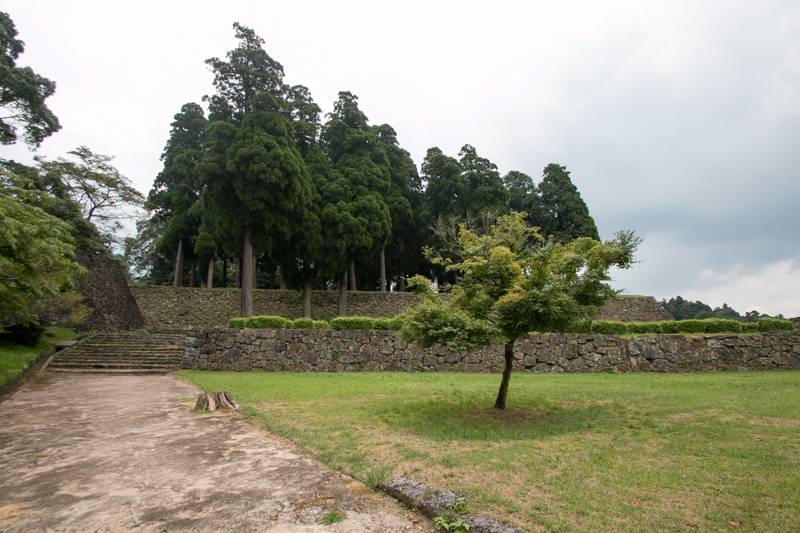 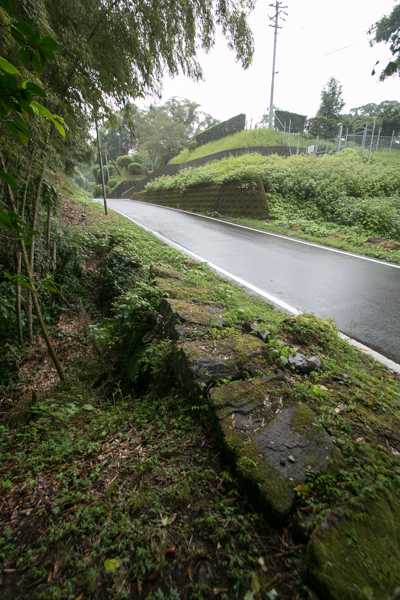 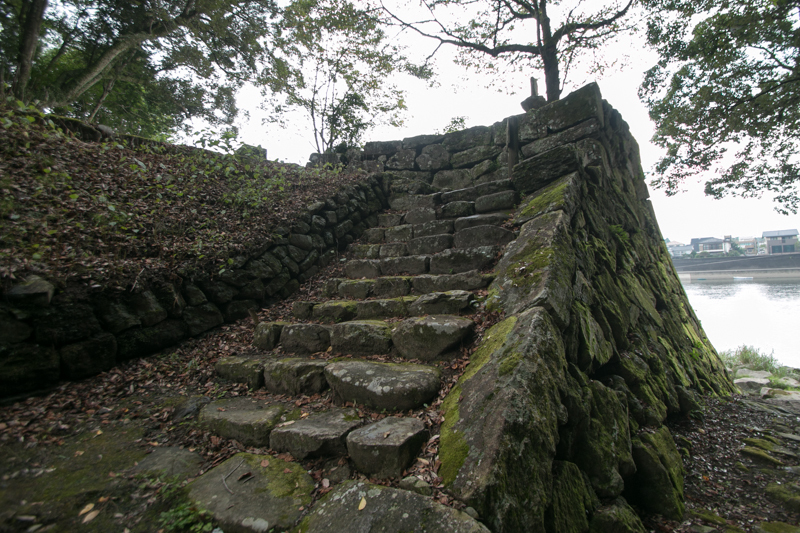 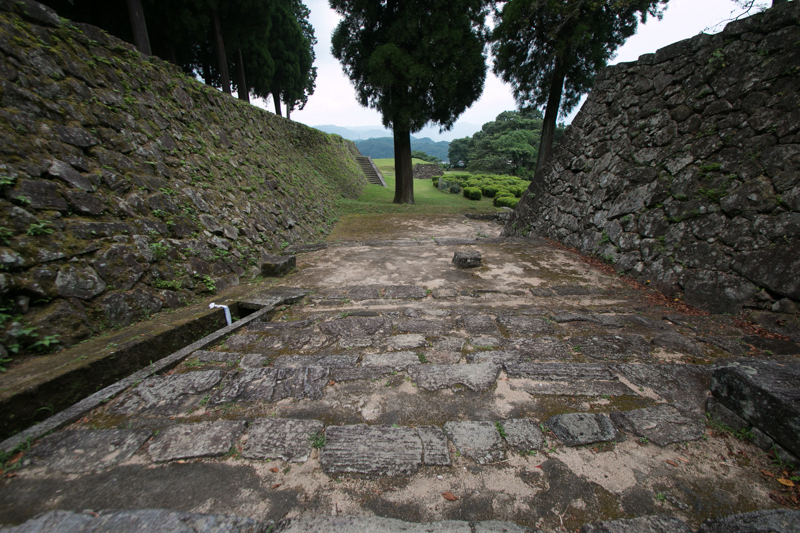 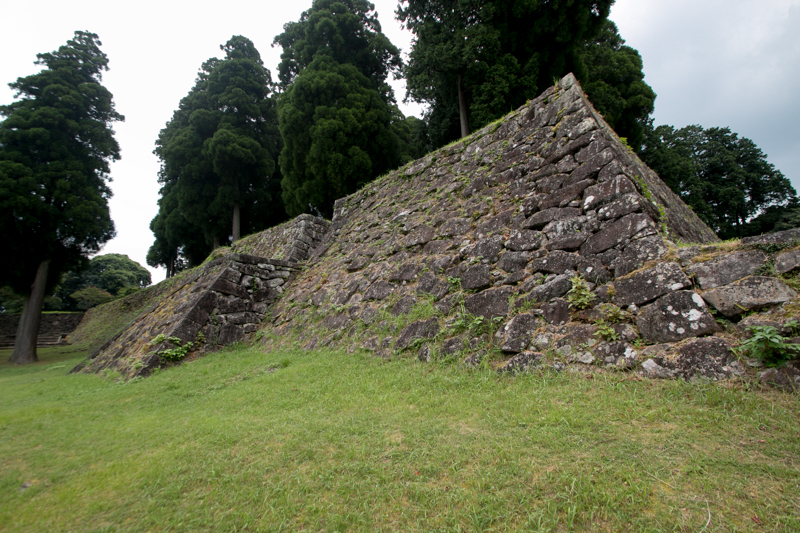 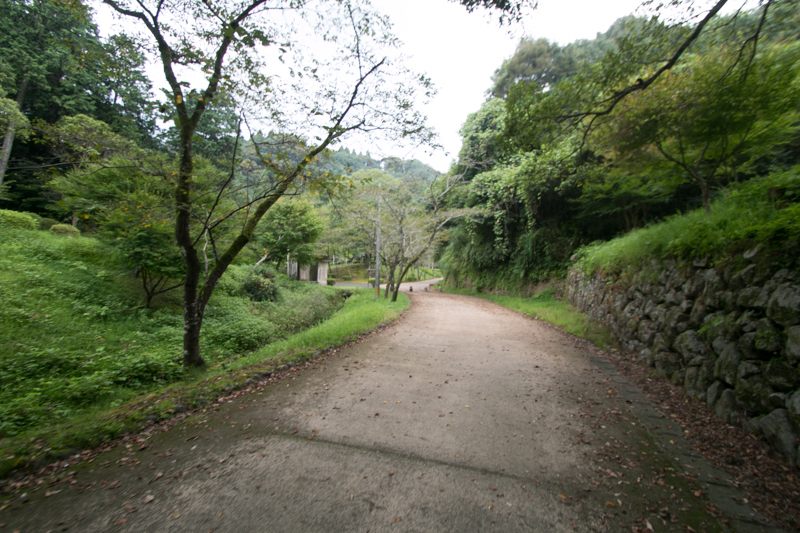 Originally Hitoyoshi castle spread over 900 meter long and 300 meter wide pyroclastic plateau. 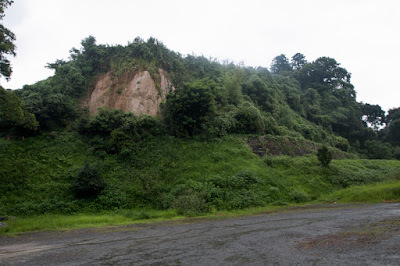 As this plateau is made of volcanic products and lime stones, these plateaus has a sharp edge and separated by deep valleys and are suitable to build a castle. 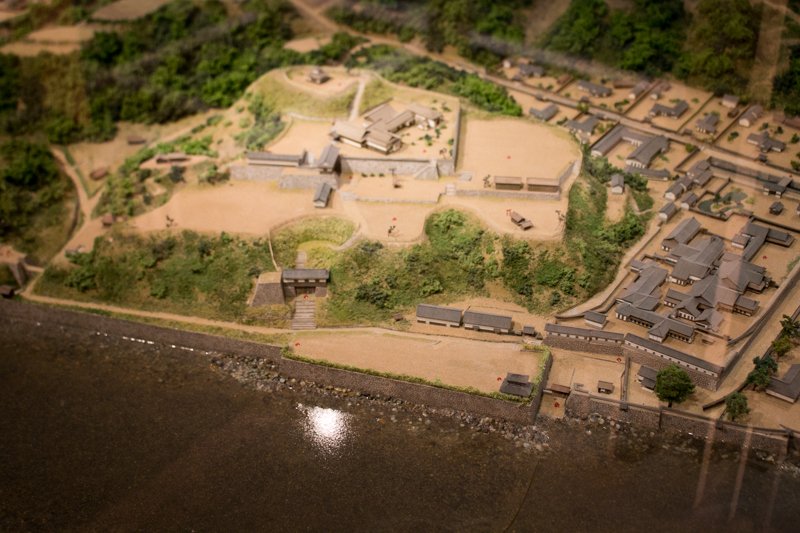 Originally the leader, relative and important retainers had their residence at each separated area, and the castle was just a aggregation of these residences as if it is an condominium. 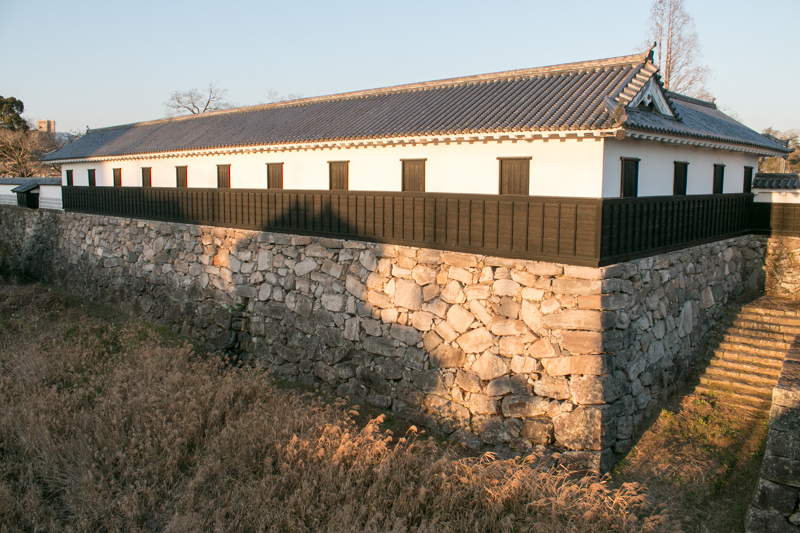 But Yorifusa renovated Hitoyoshi castle into a modern one. 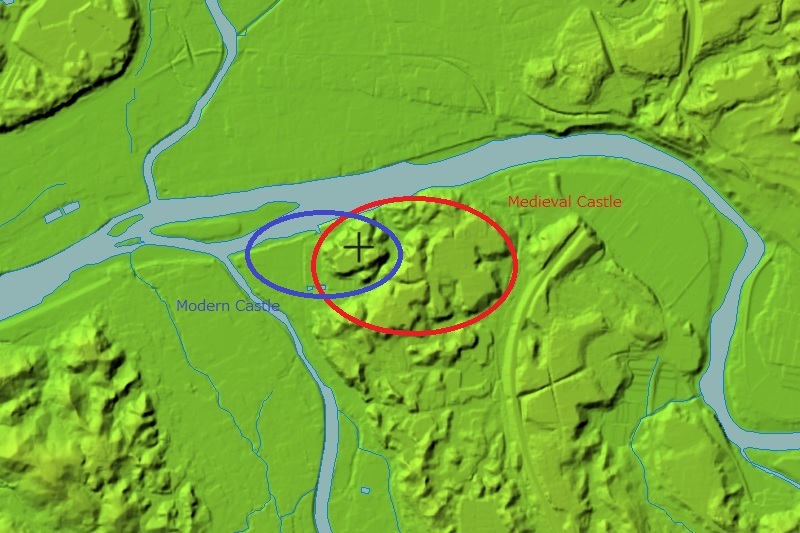 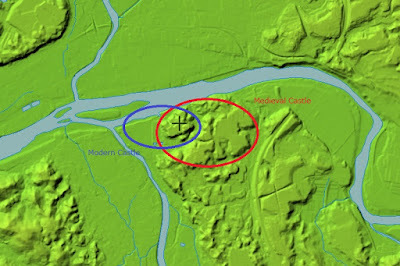 Only a edge of plateau is used as a central area of the castle at the highest point, and secondary area and residence of the clan was built at the hillside. 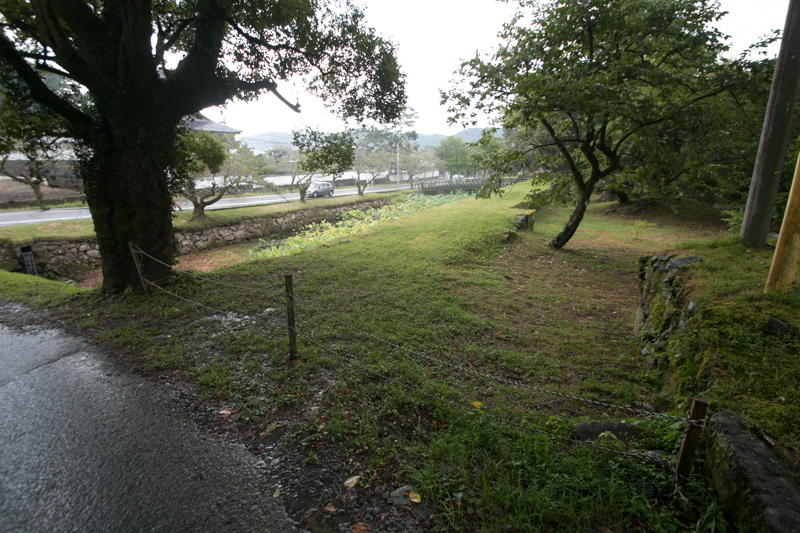 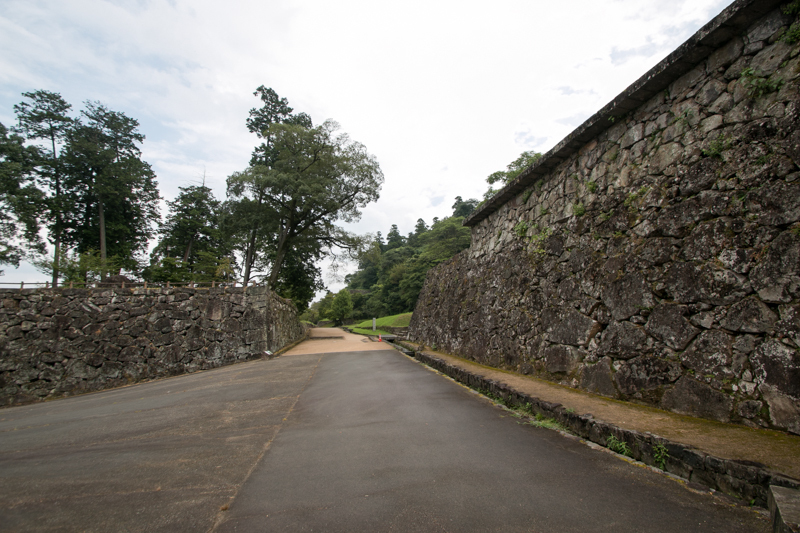 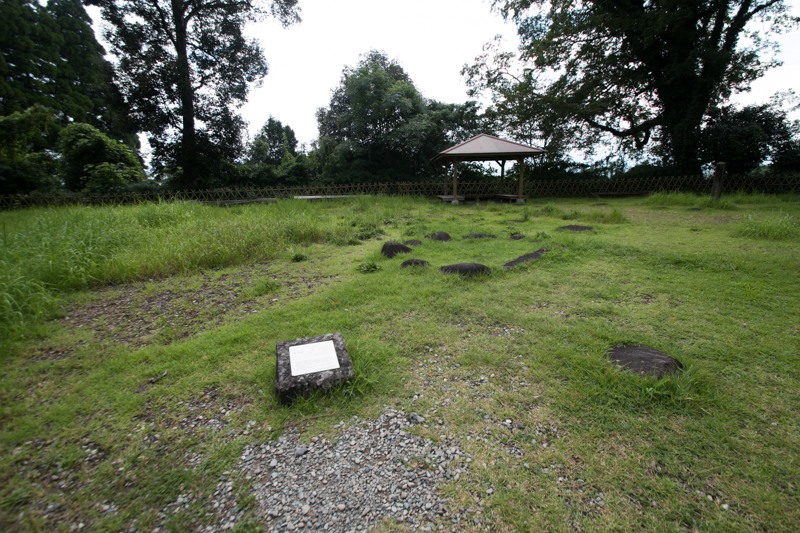 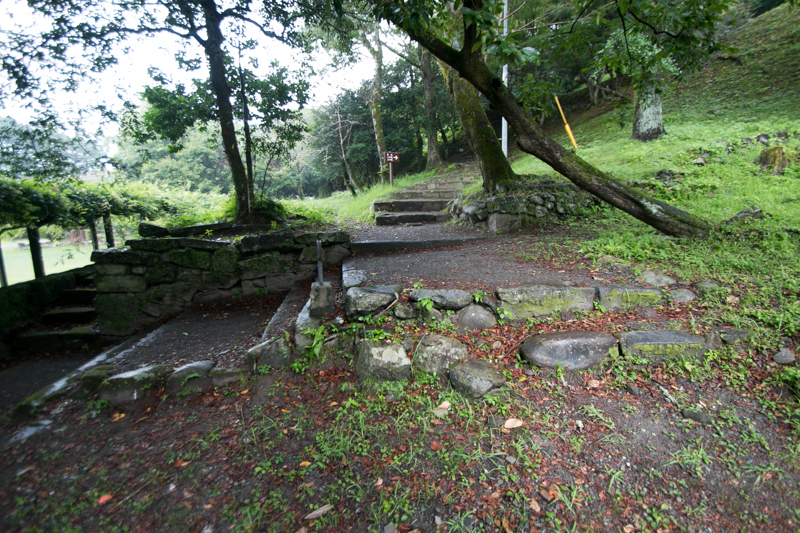 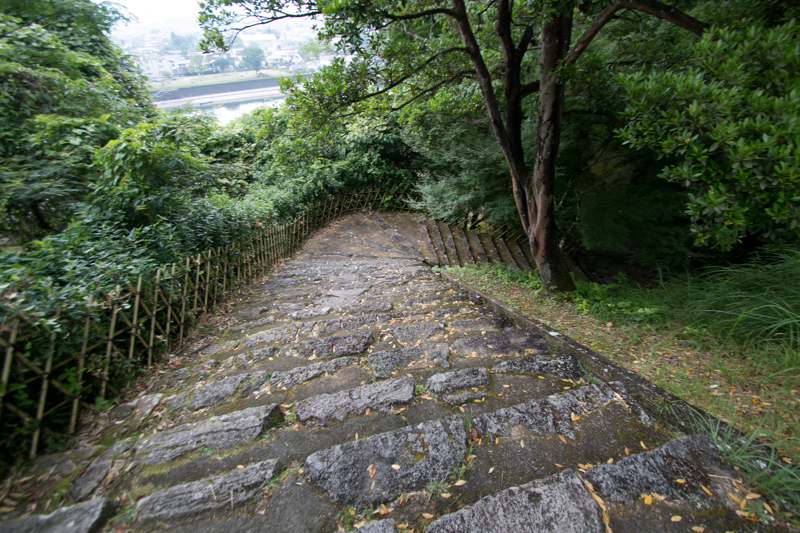 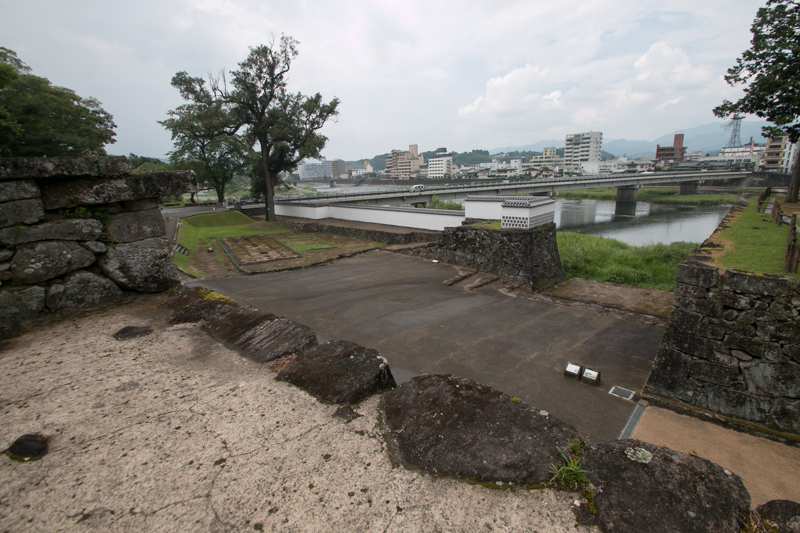 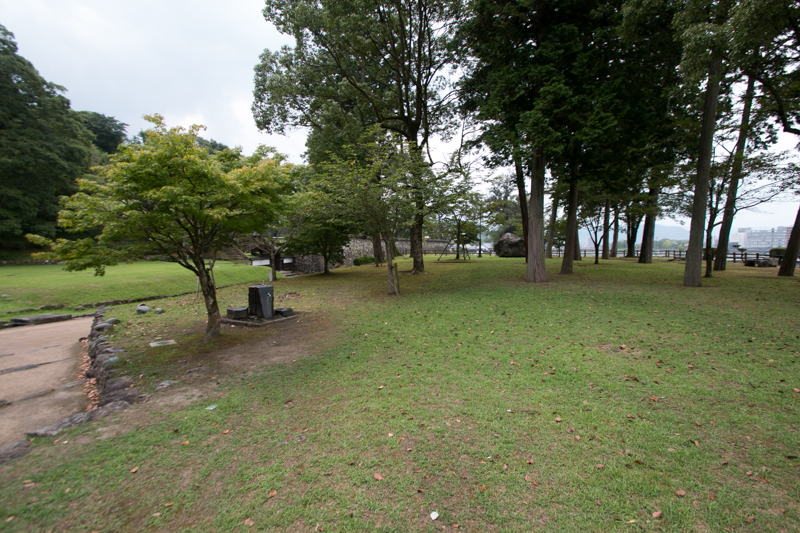 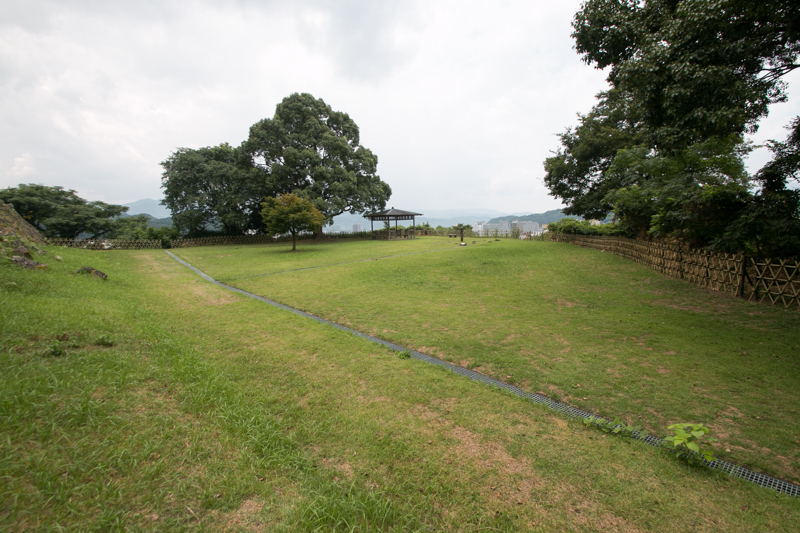 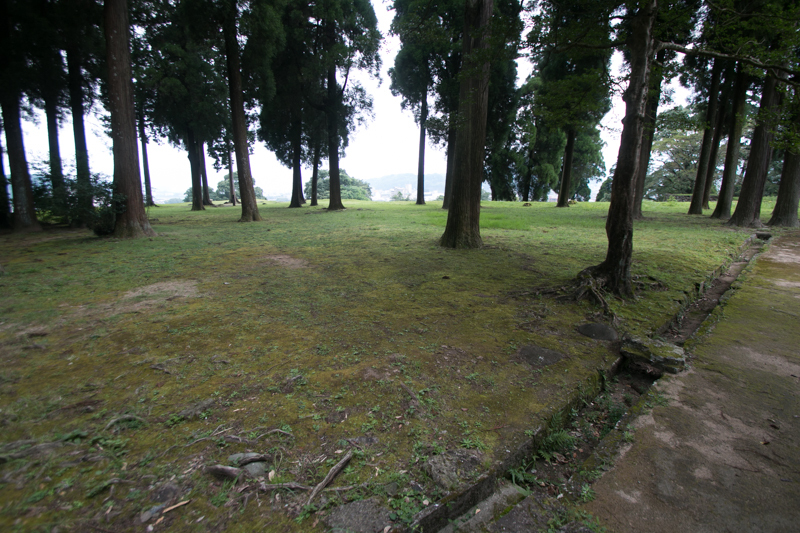 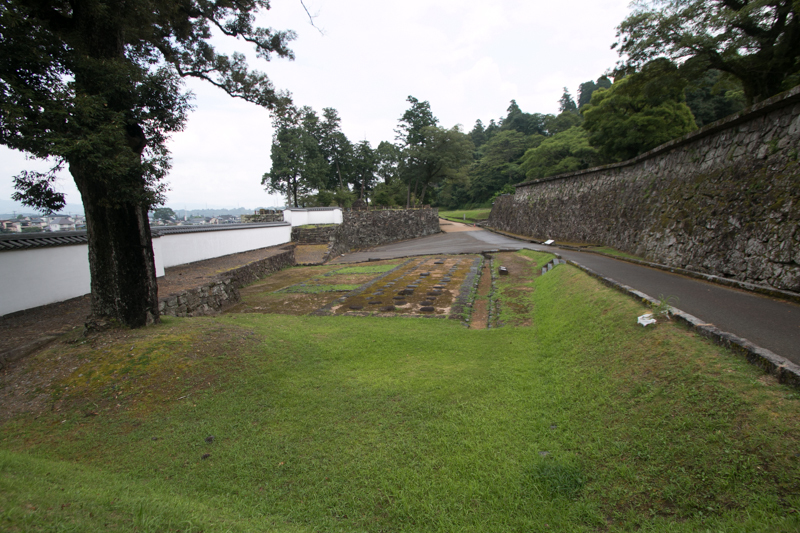 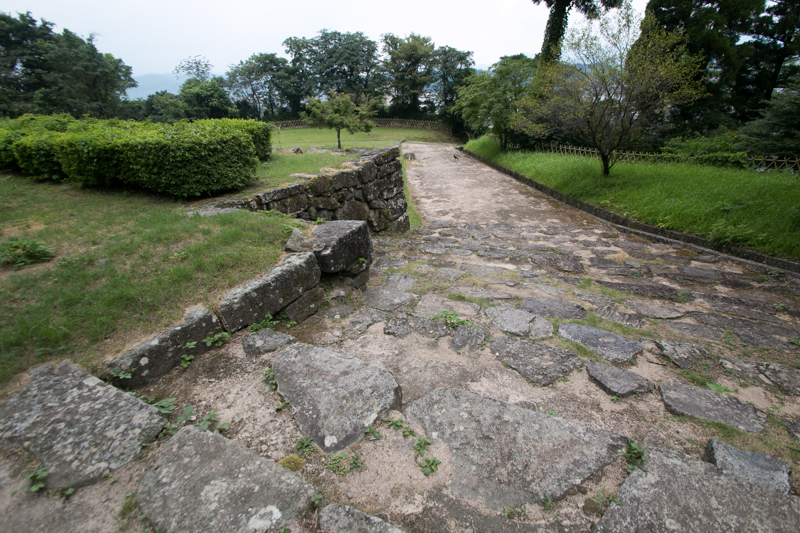 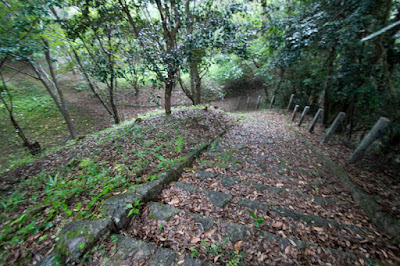 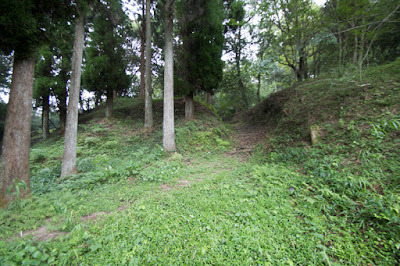 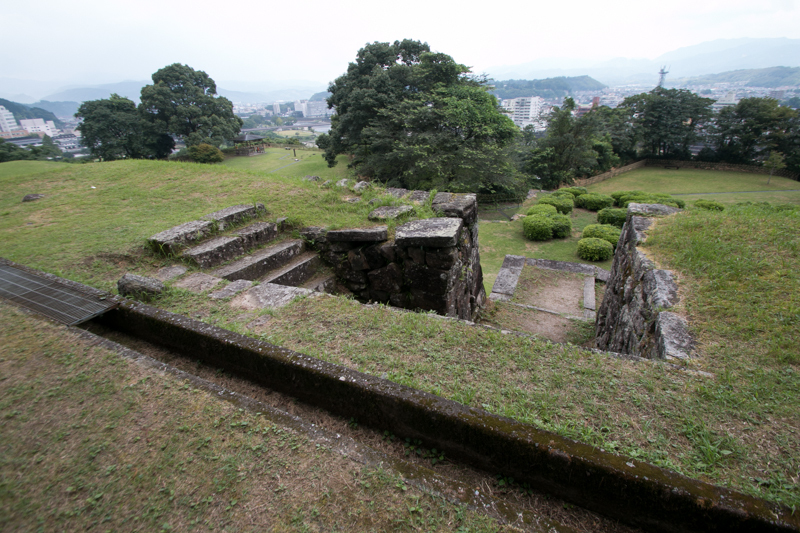 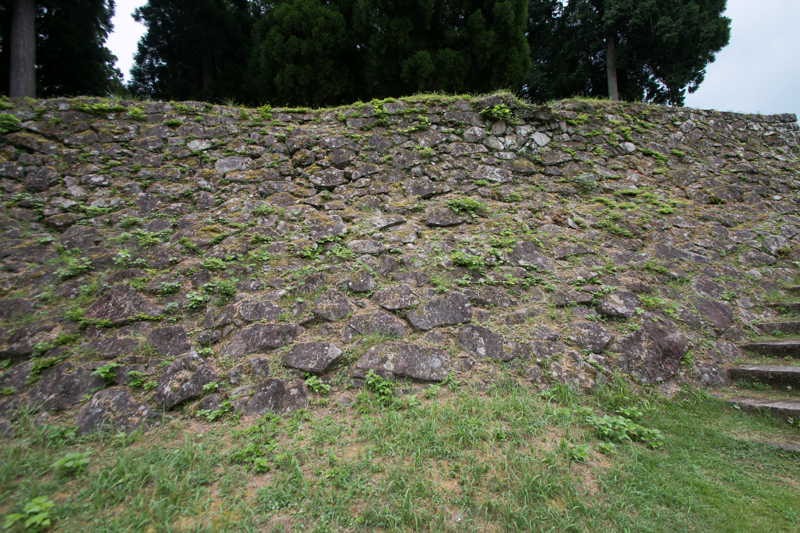 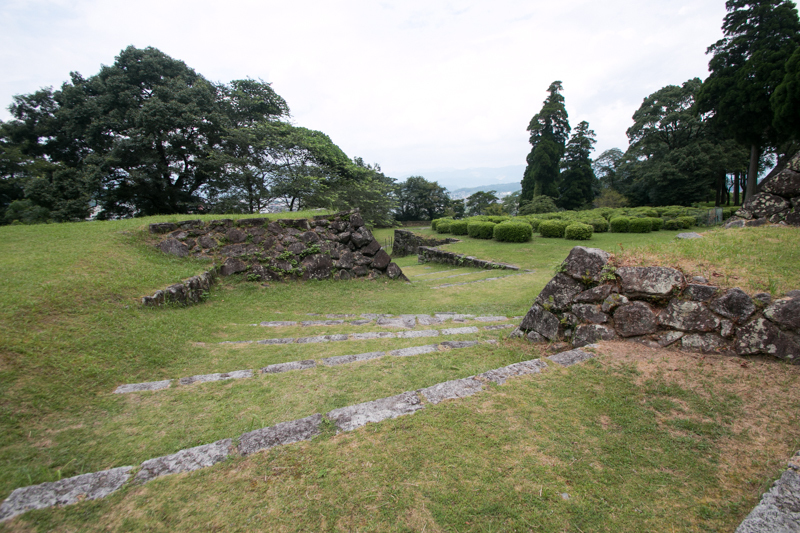 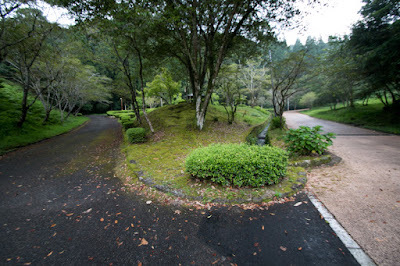 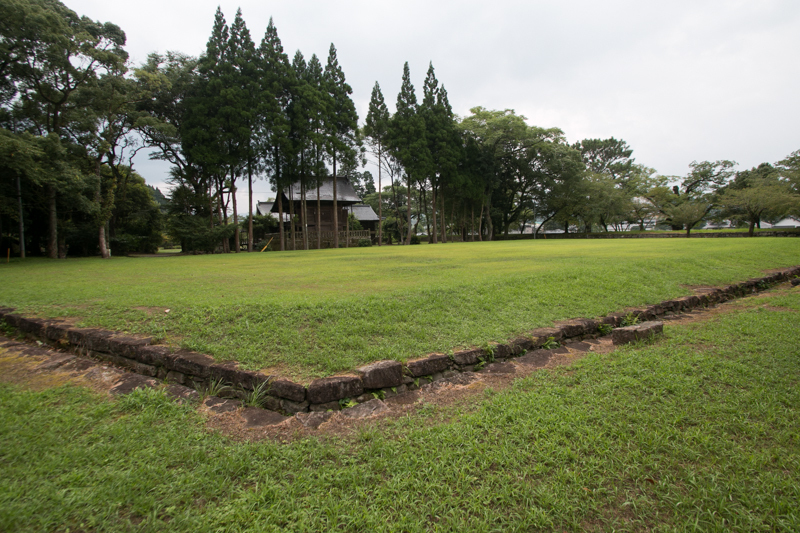 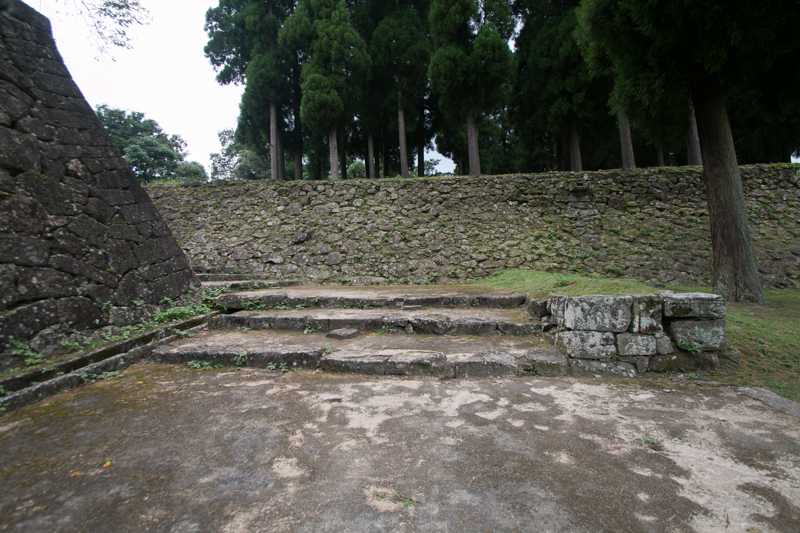 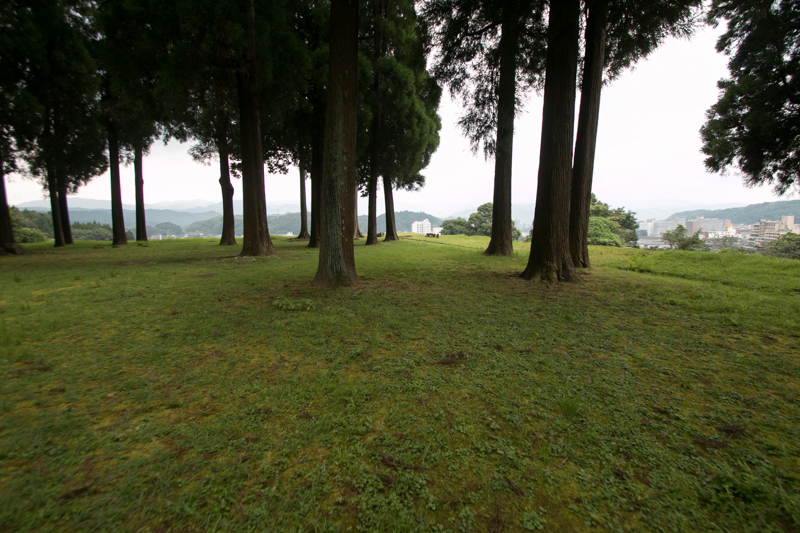 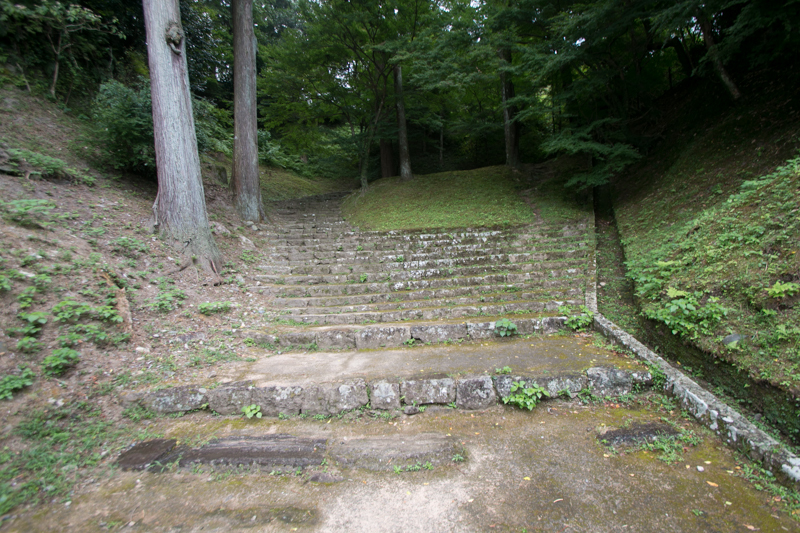 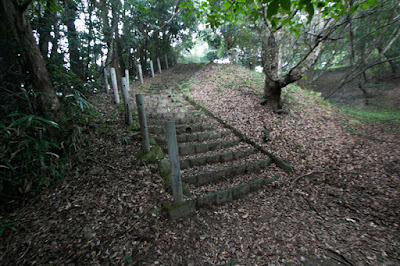 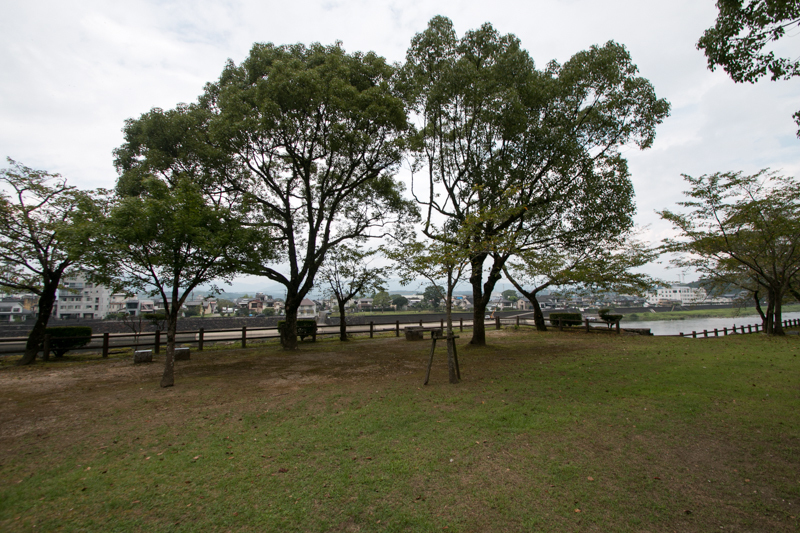 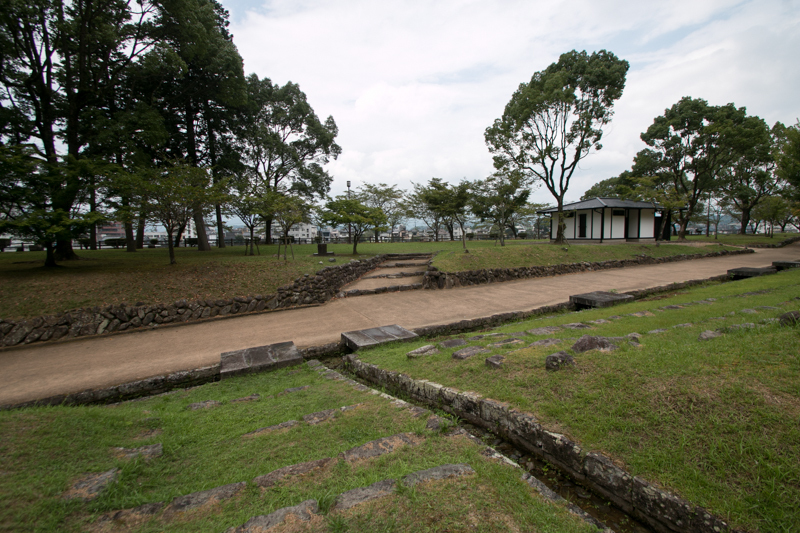 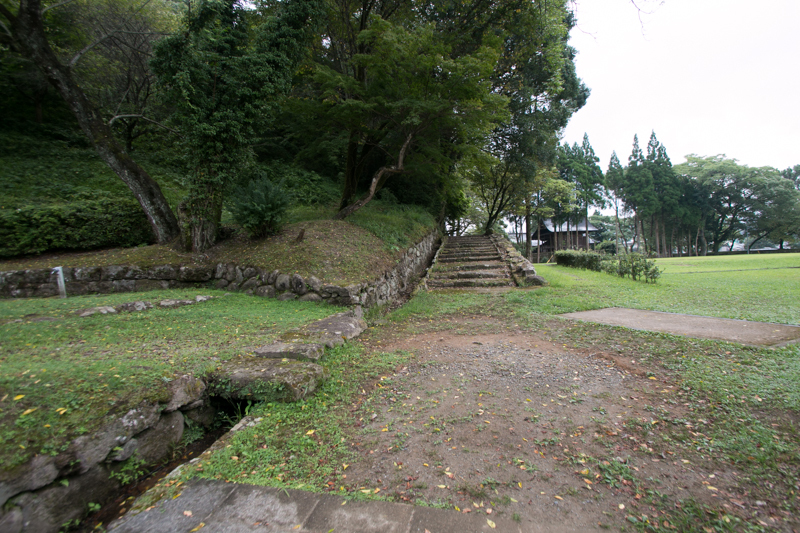 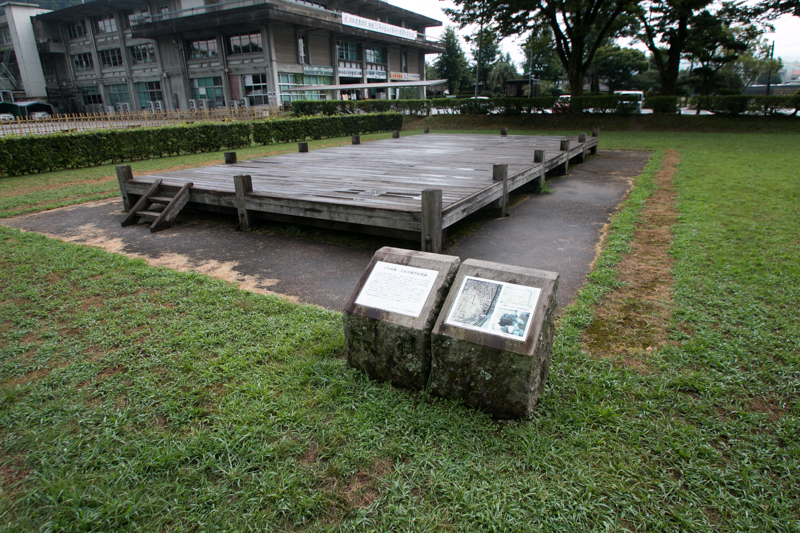 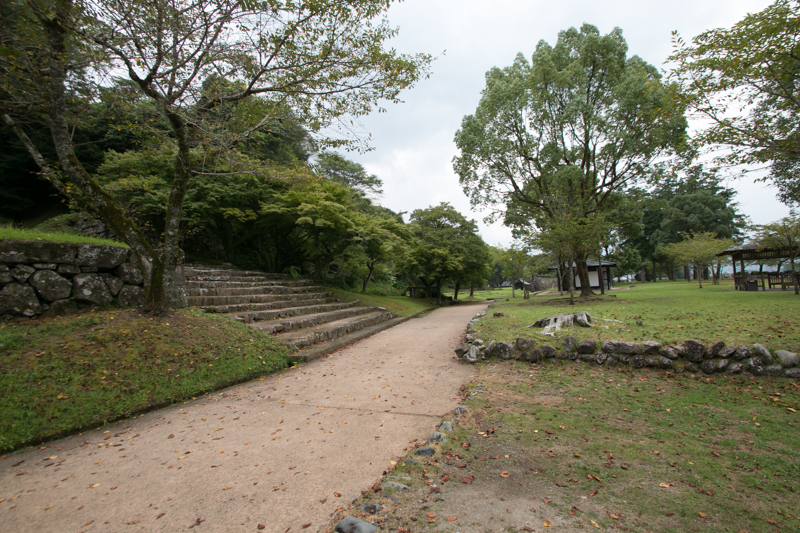 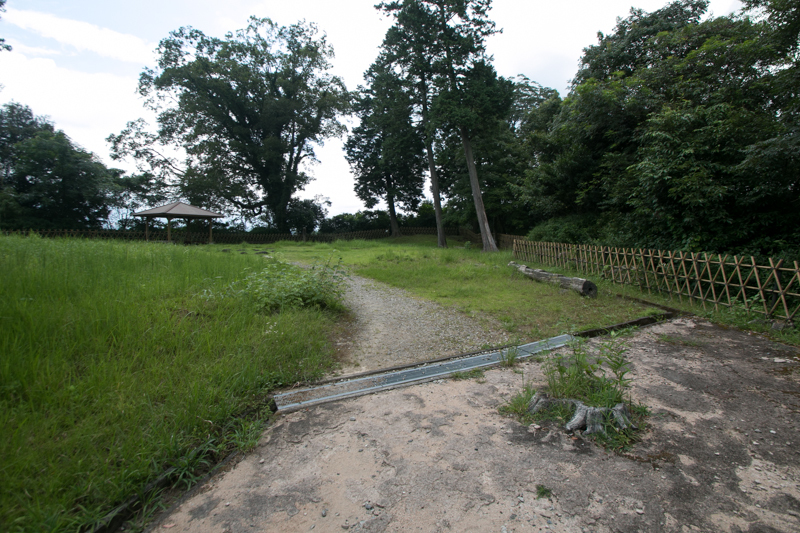 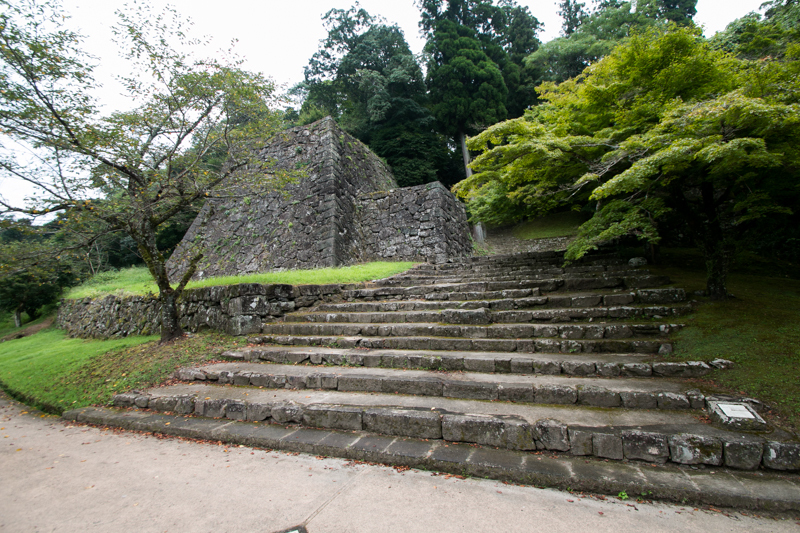 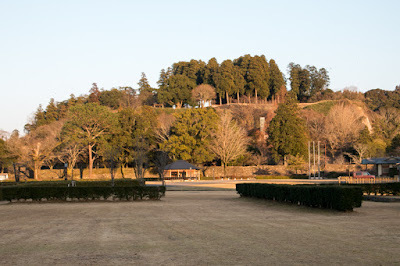 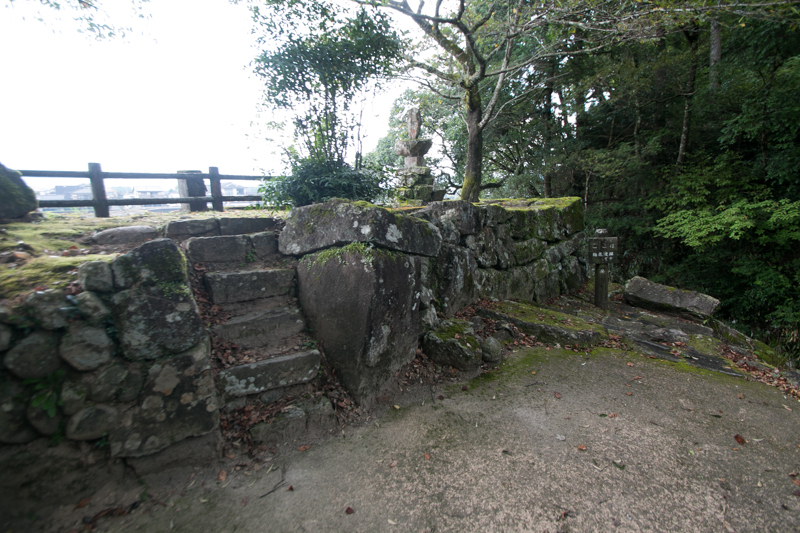 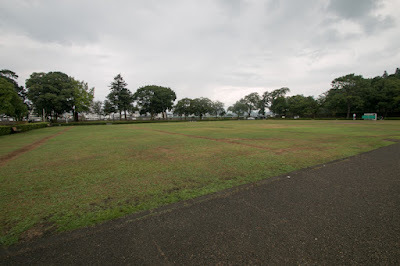 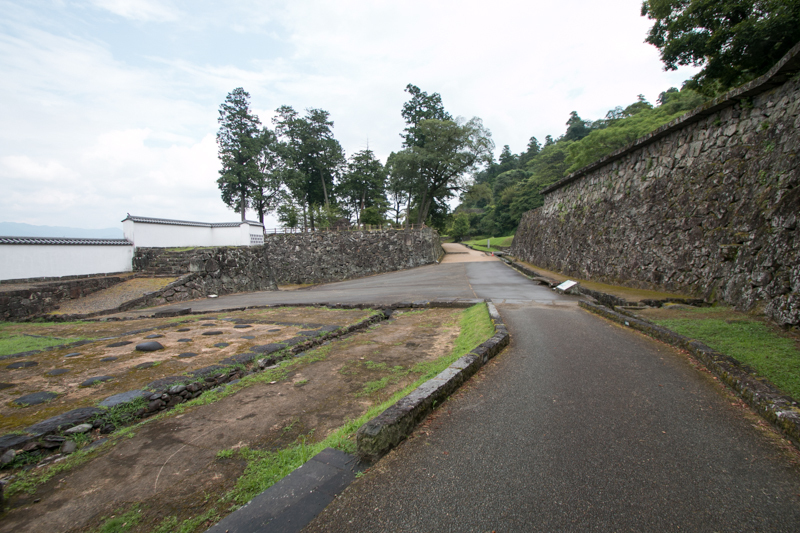 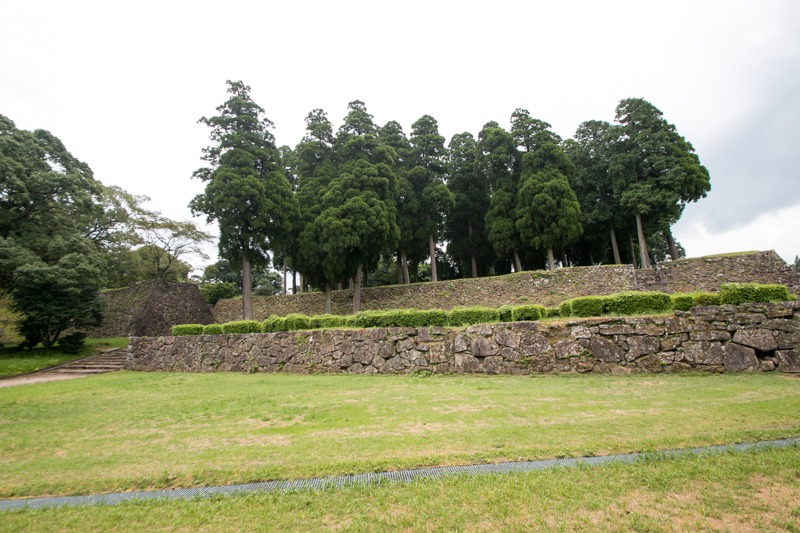 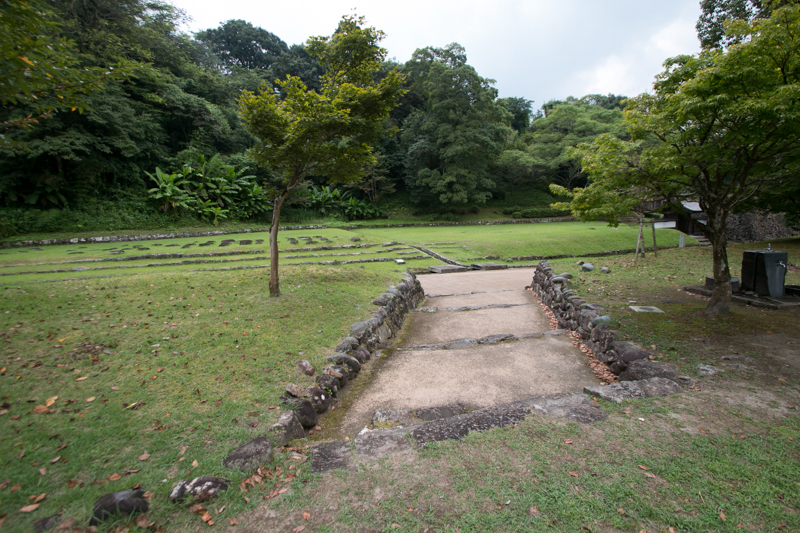 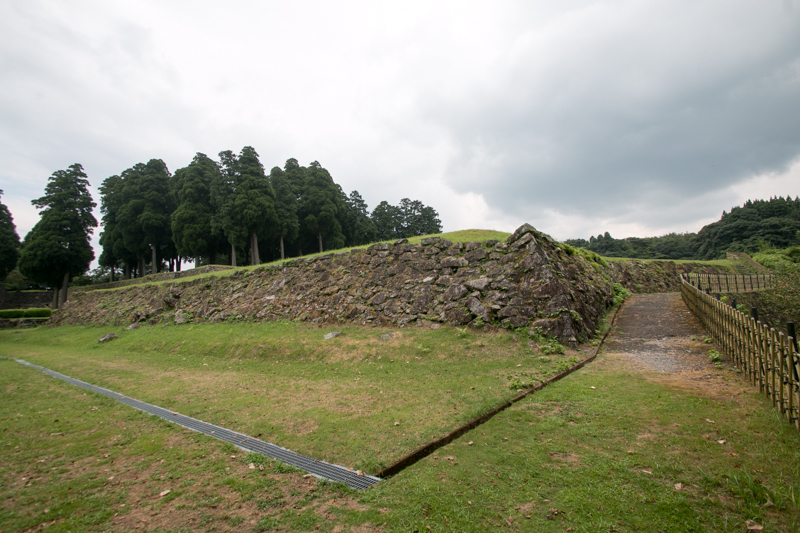 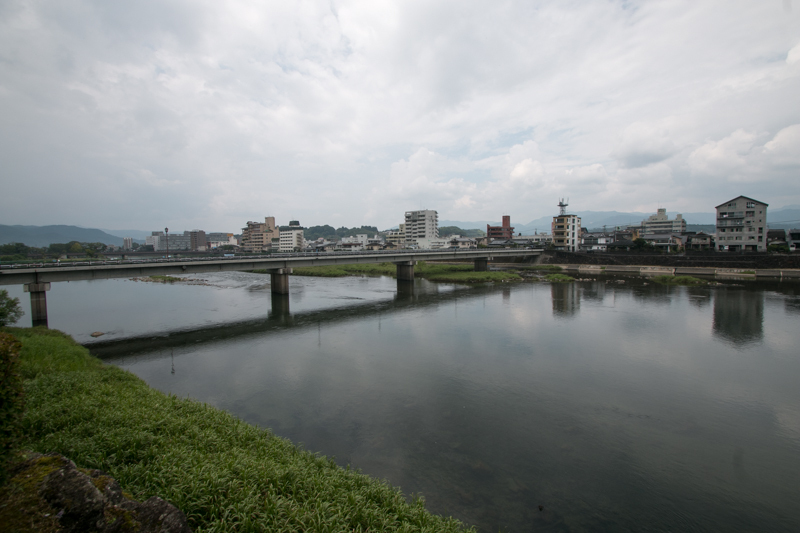 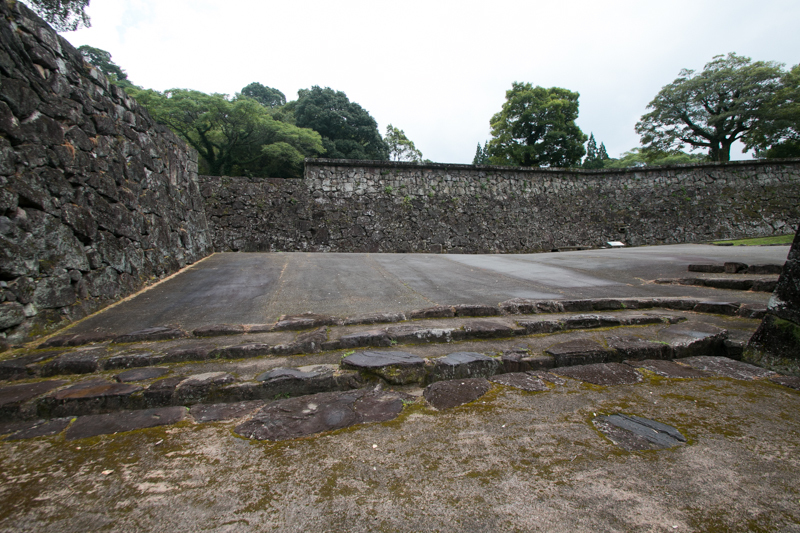 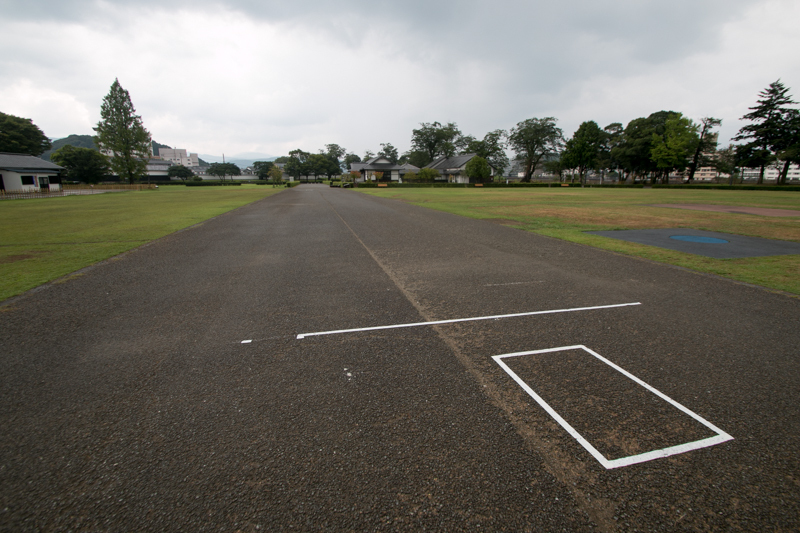 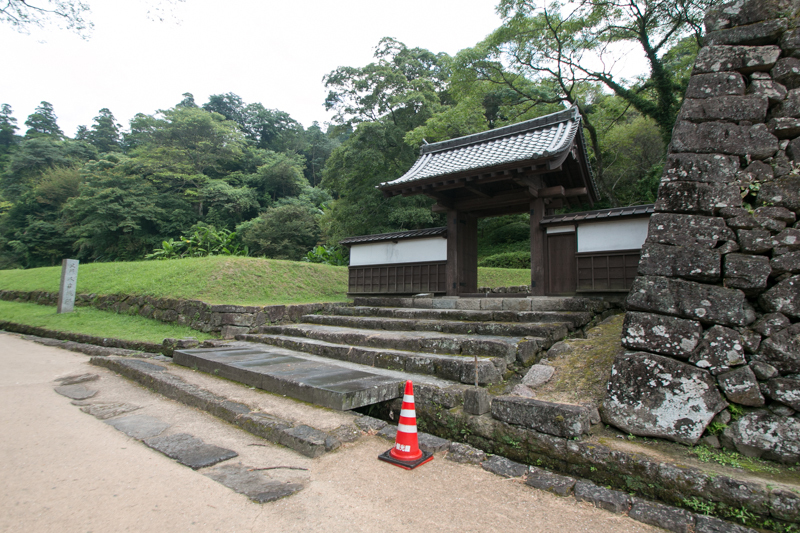 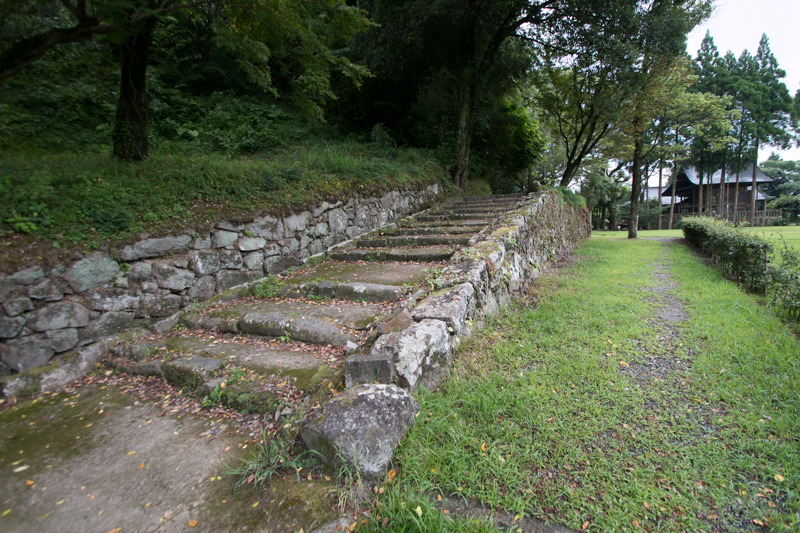 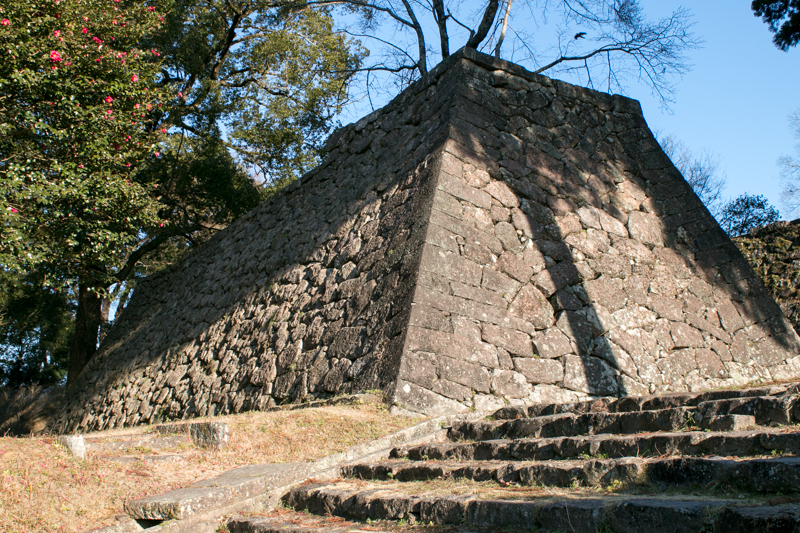 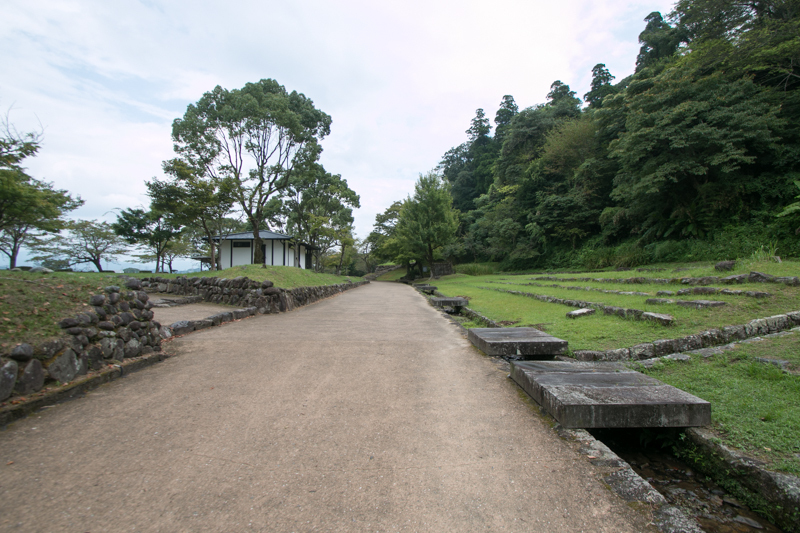 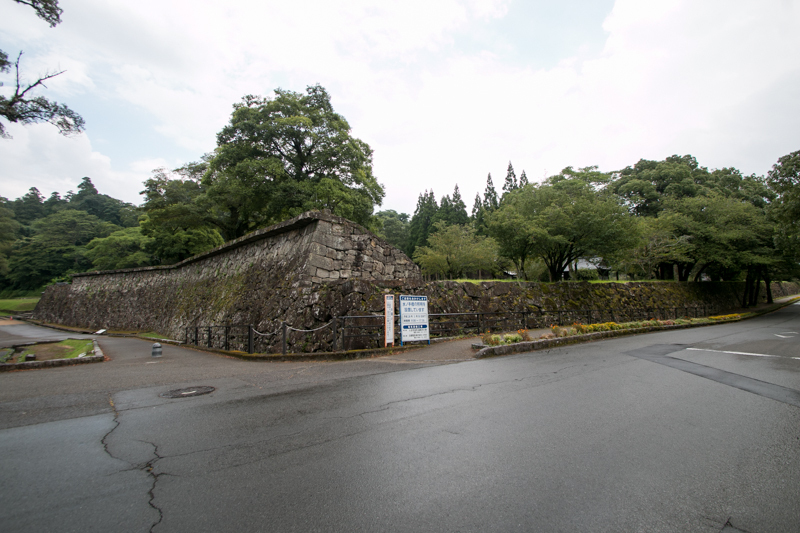 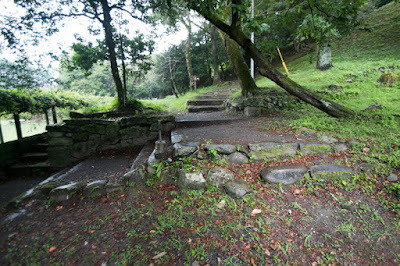 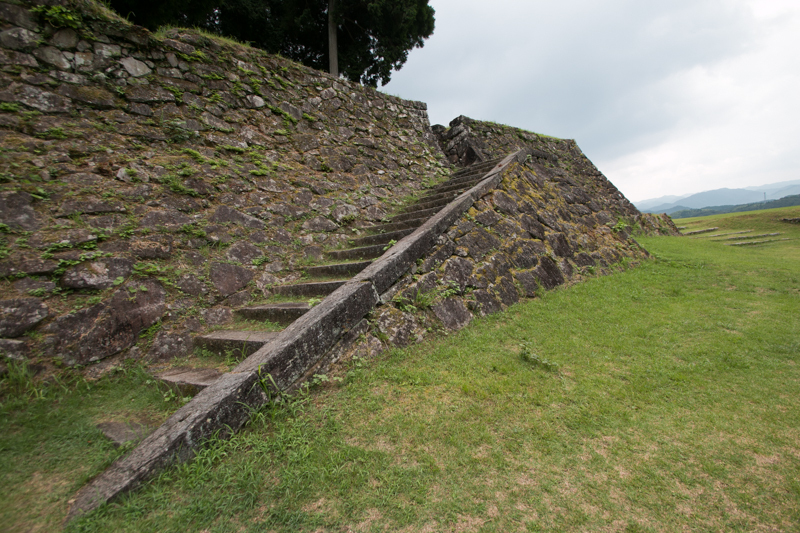 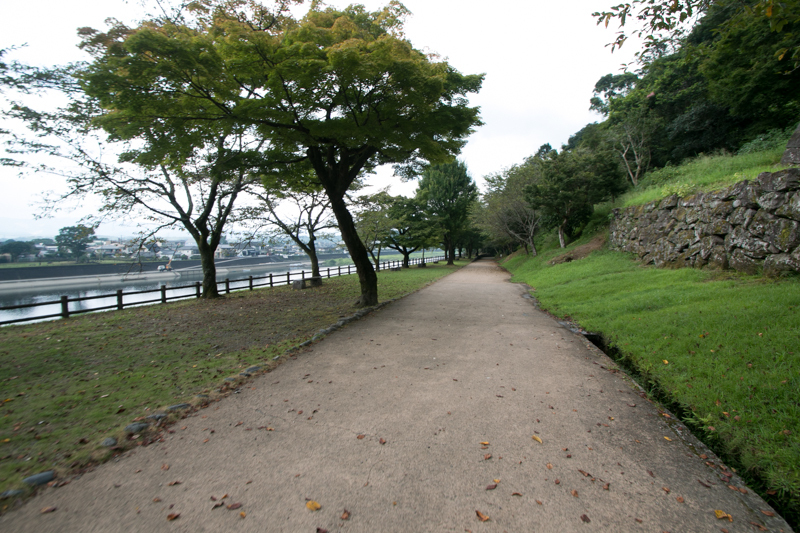 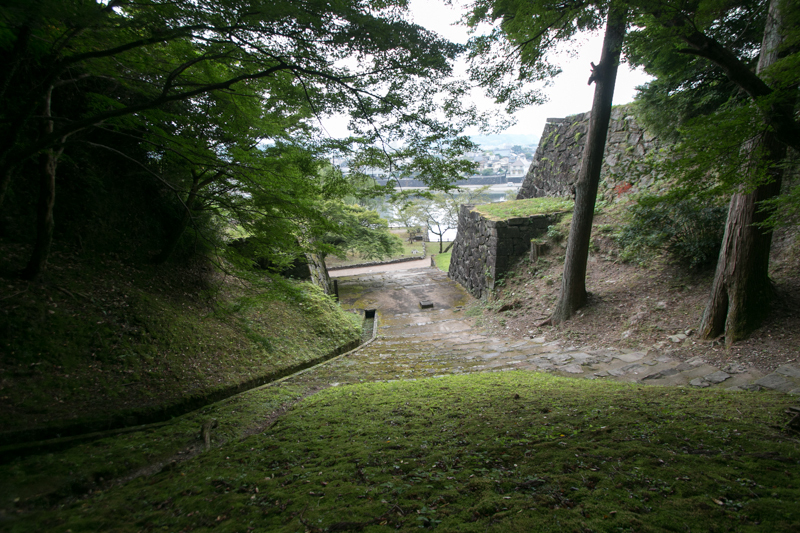 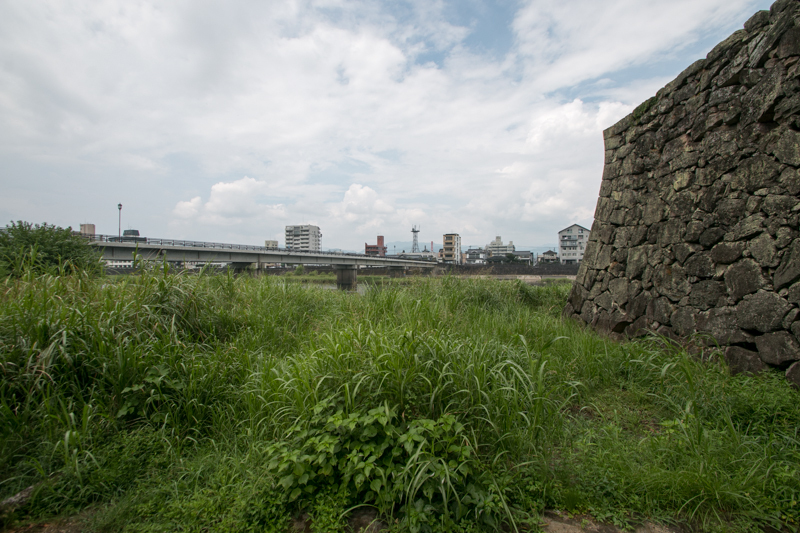 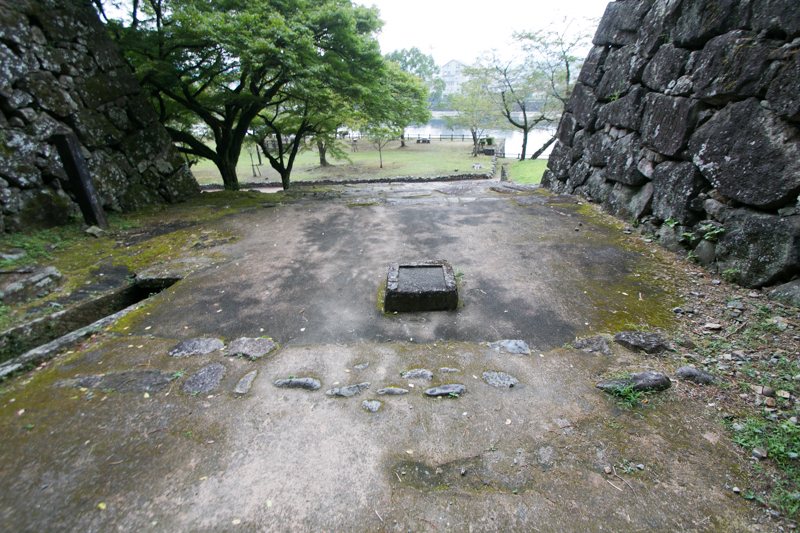 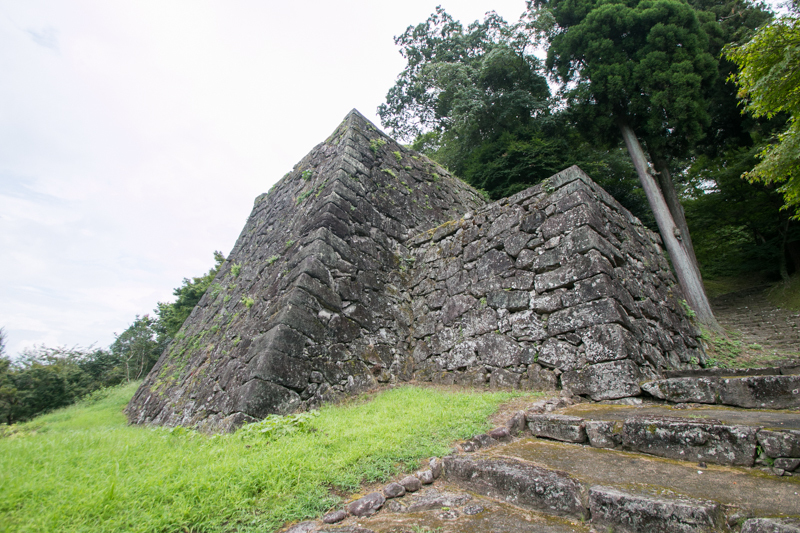 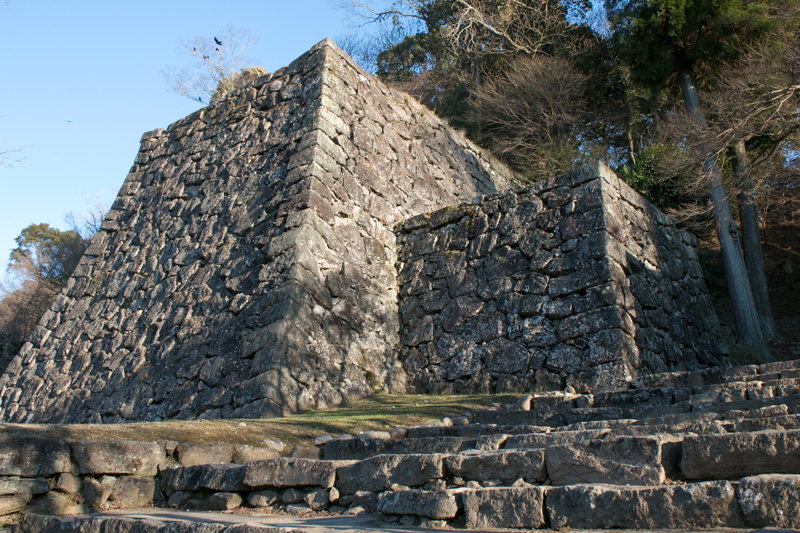 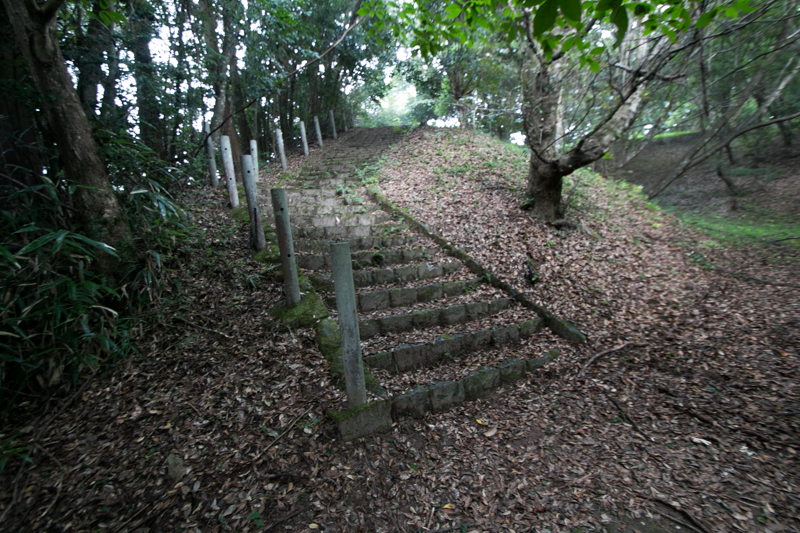 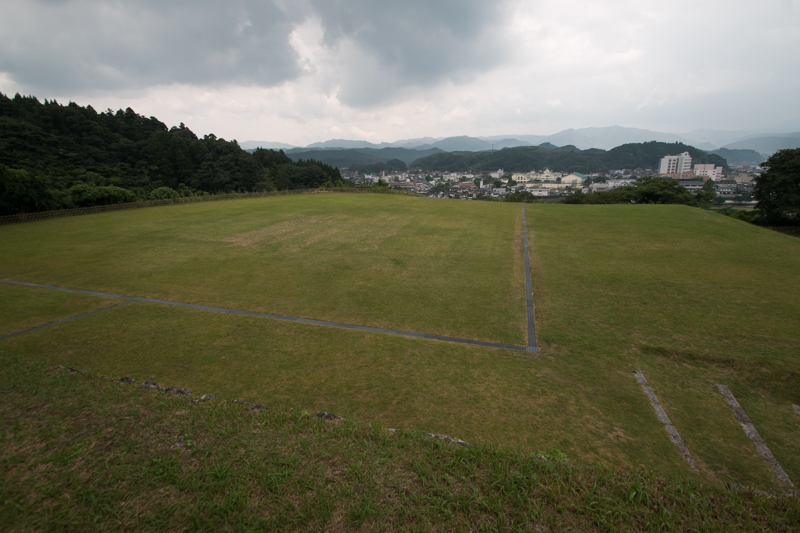 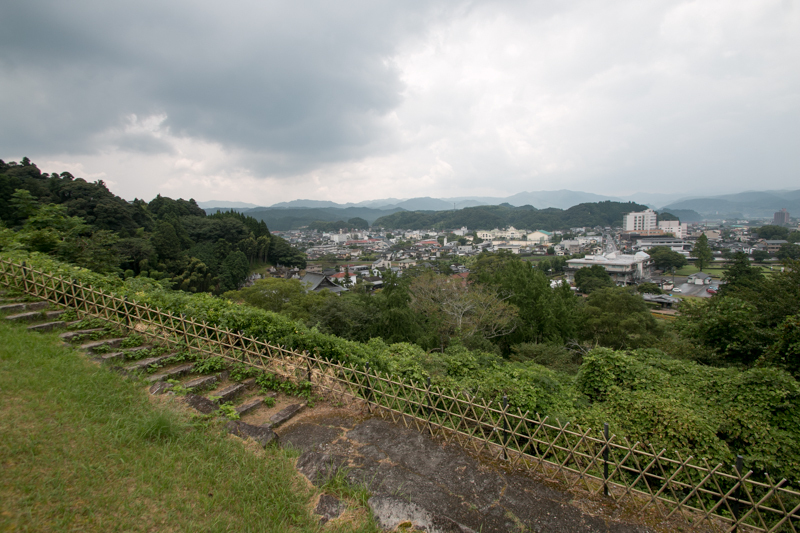 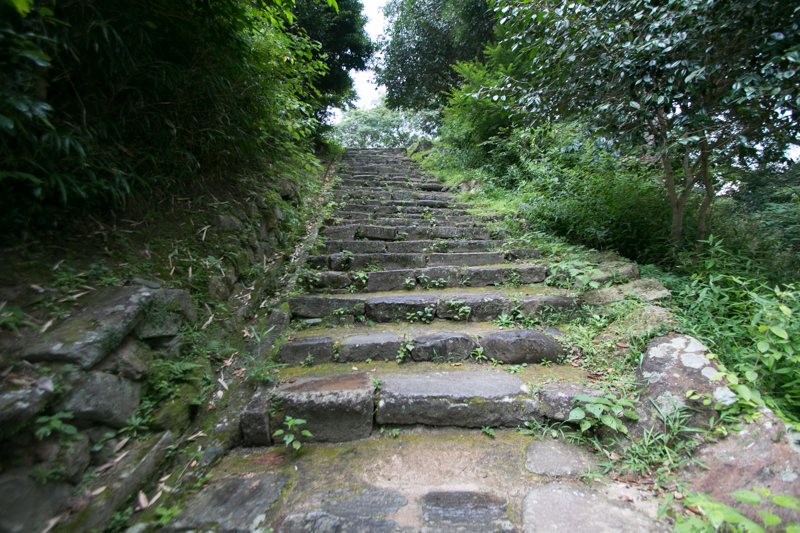 The space surrounded by the hill and Kumagawa rivers became the third area and was used as an administrative space. 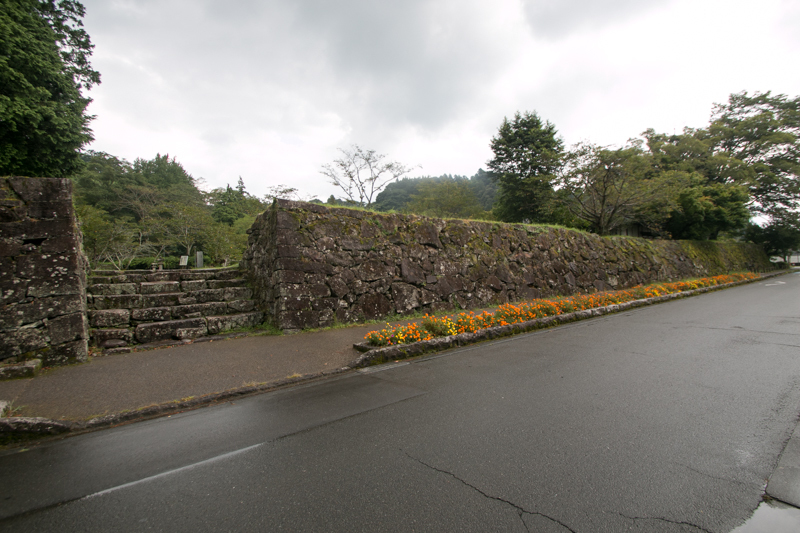 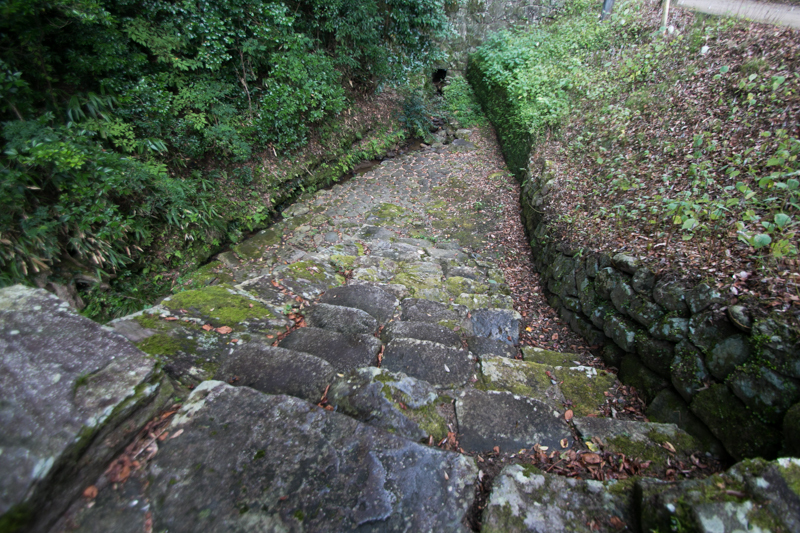 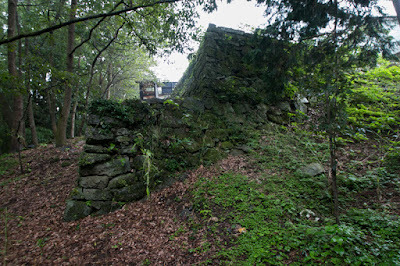 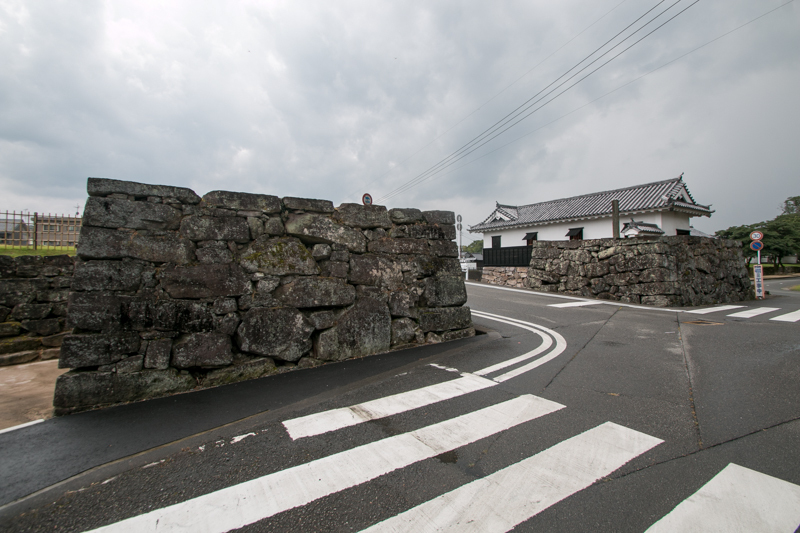 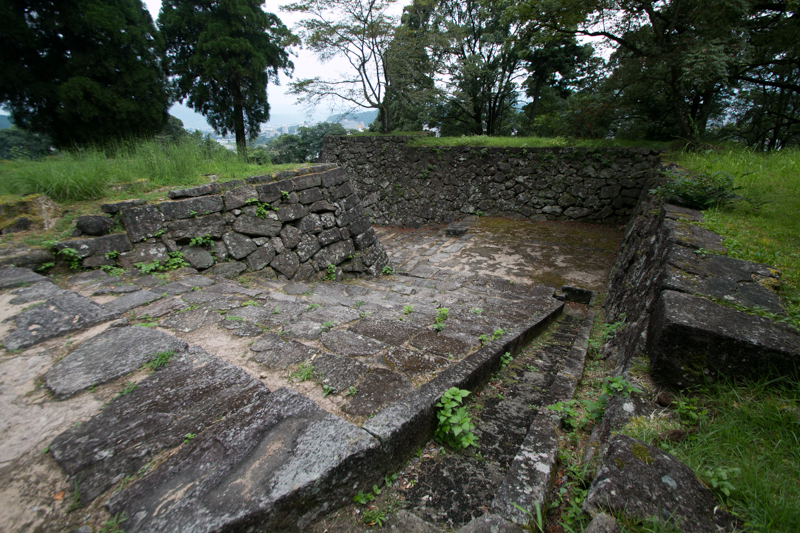 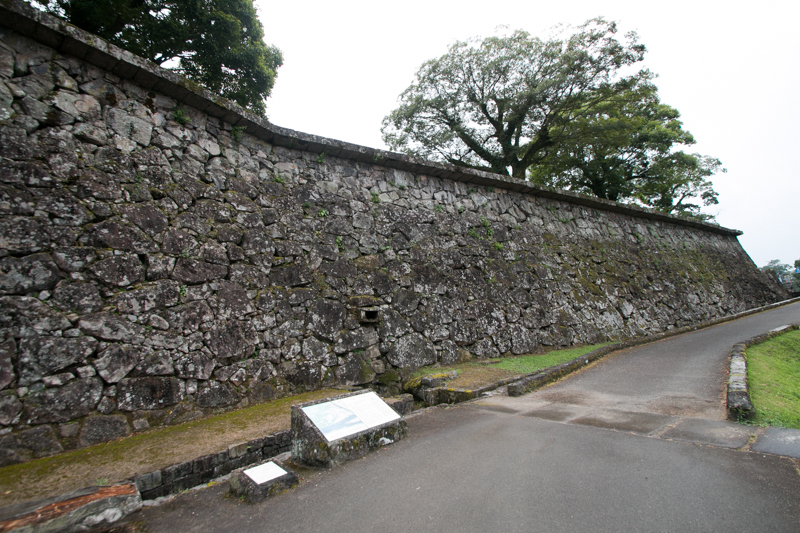 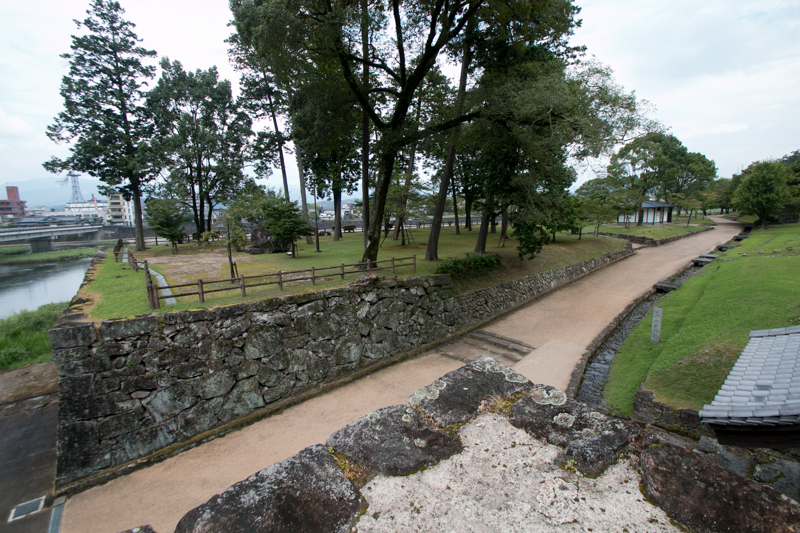 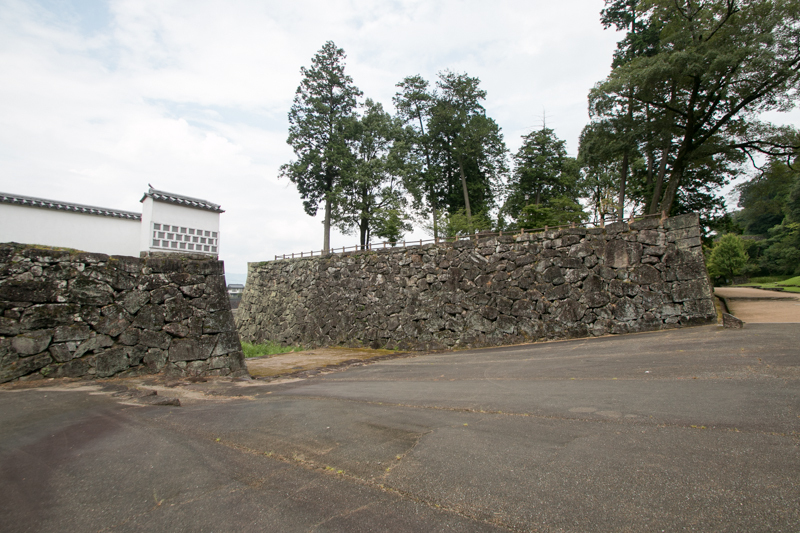 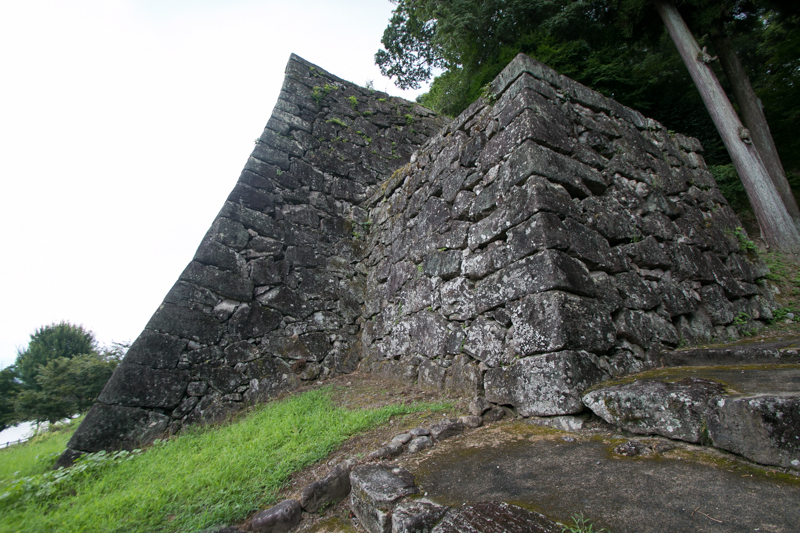 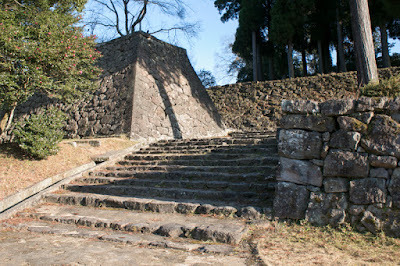 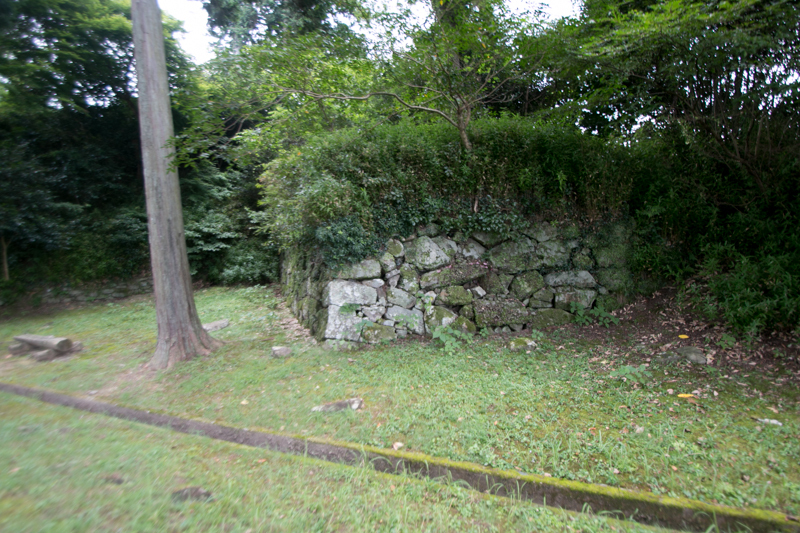 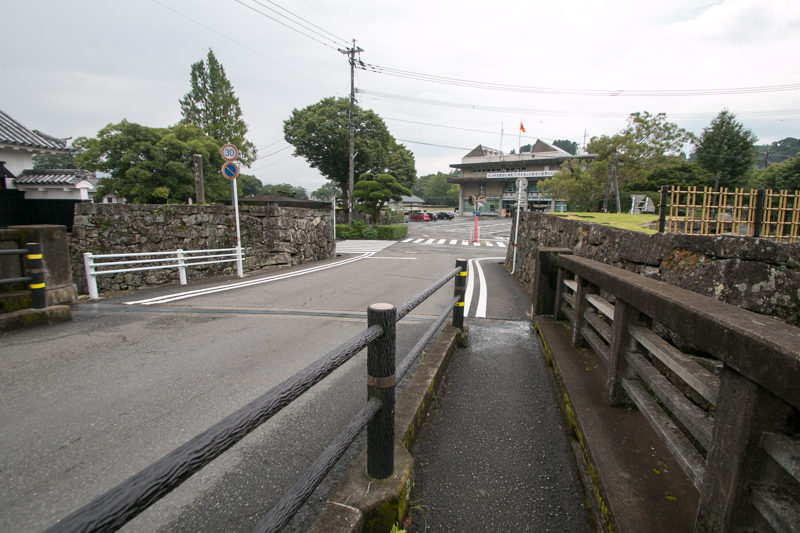 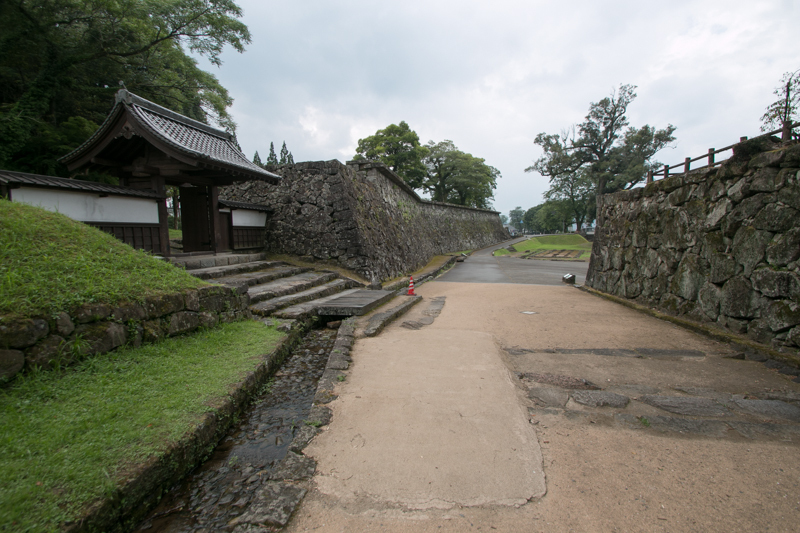 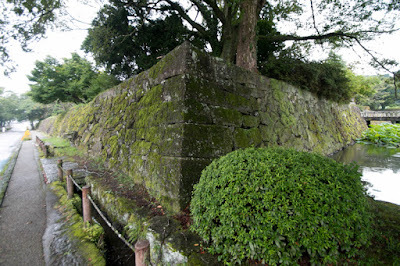 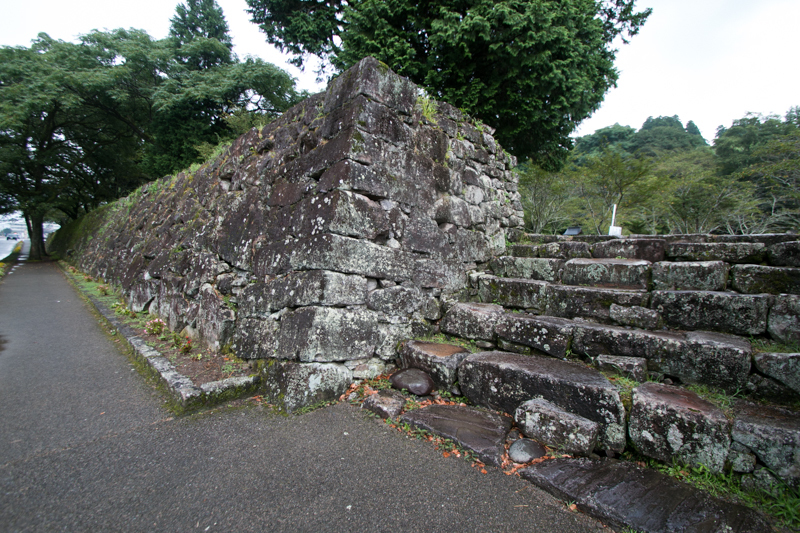 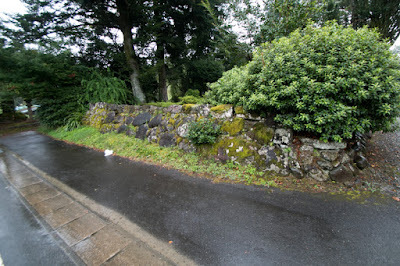 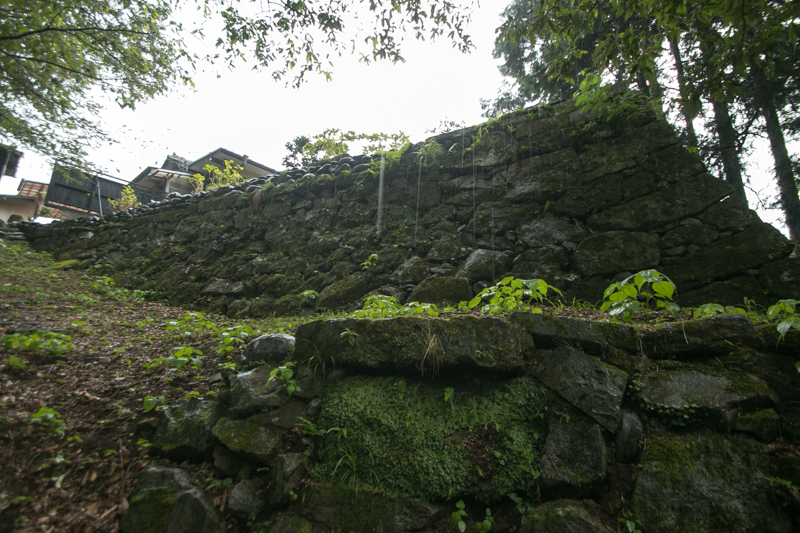 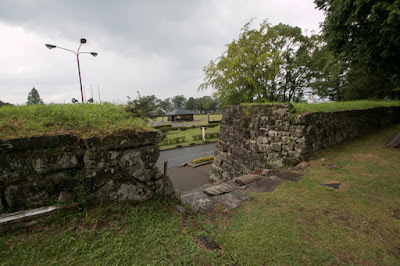 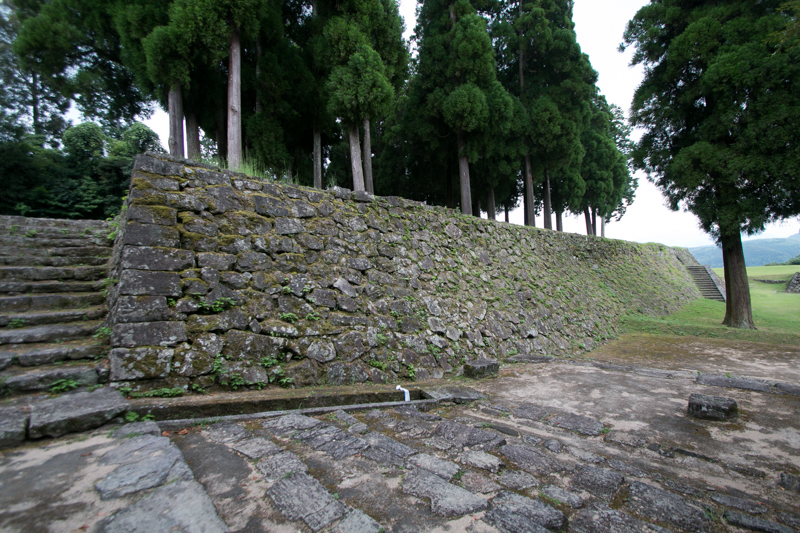 Stone walls were built at the line of each area faces the river, and a tall turret basement and Masugata style gate which were the exterior of modern castle were attached at the front entrance. 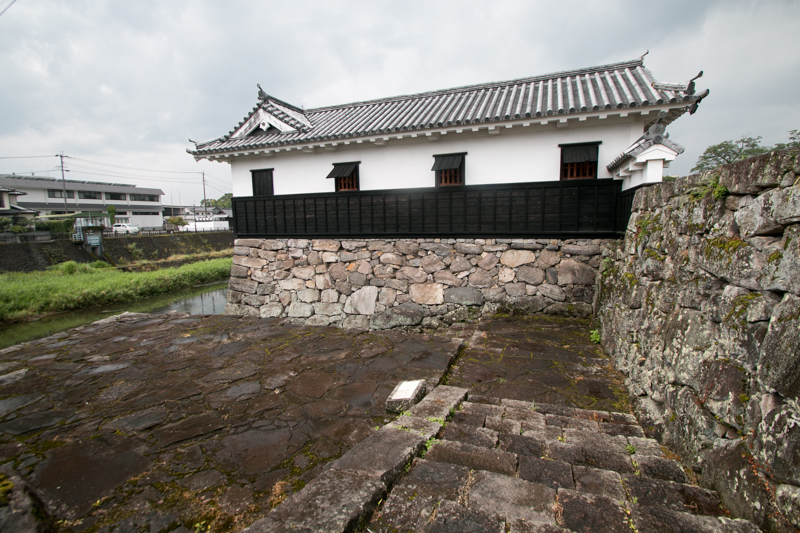 Original medieval condominium was now transformed into a fortified residence which shows the authority of the leader. 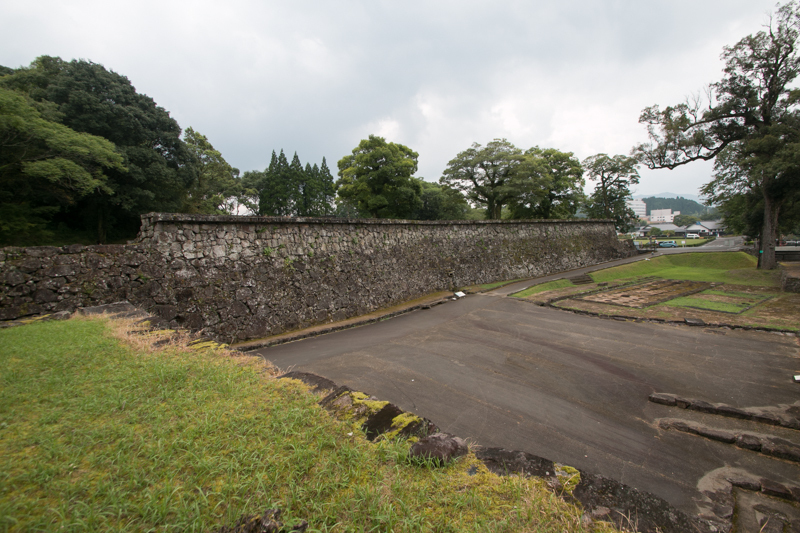 The size of modern castle part is about 400 meter long and 200 meter width, and major part of old castle on the plateau was abandoned. 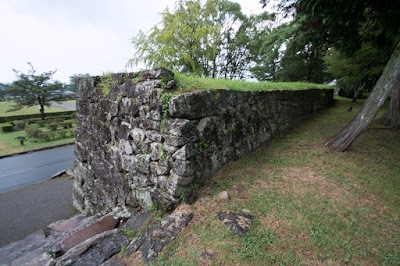 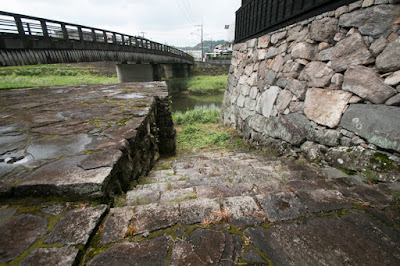 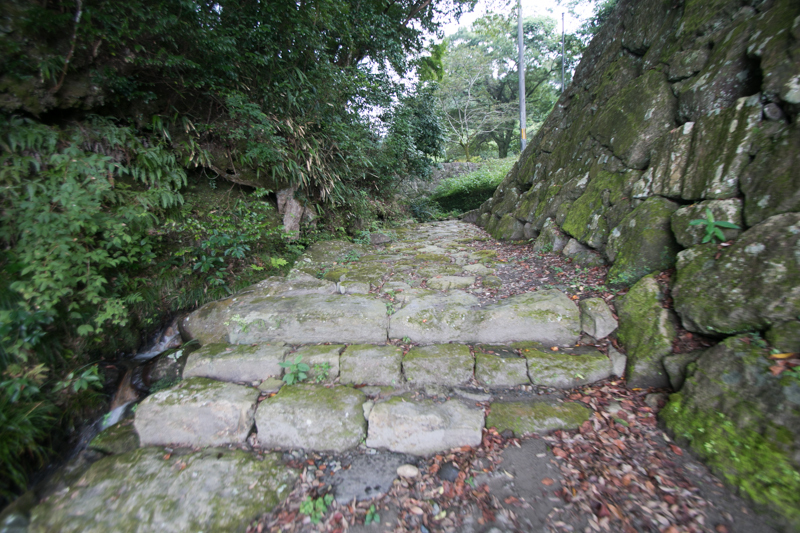 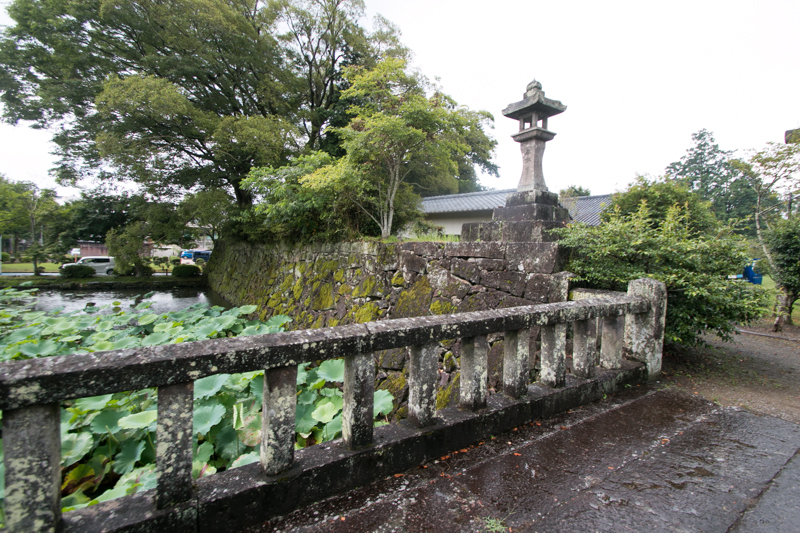 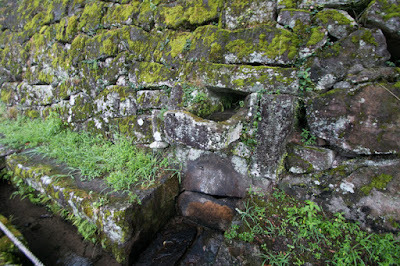 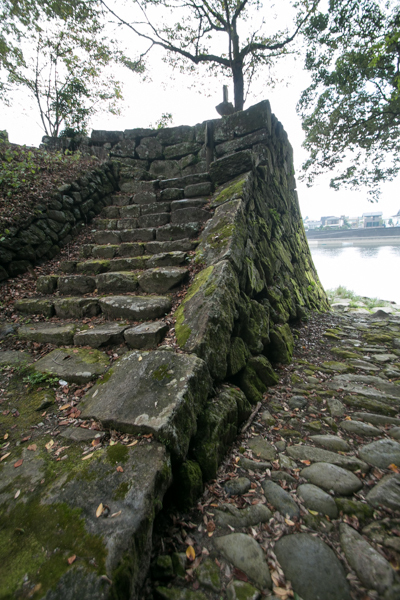 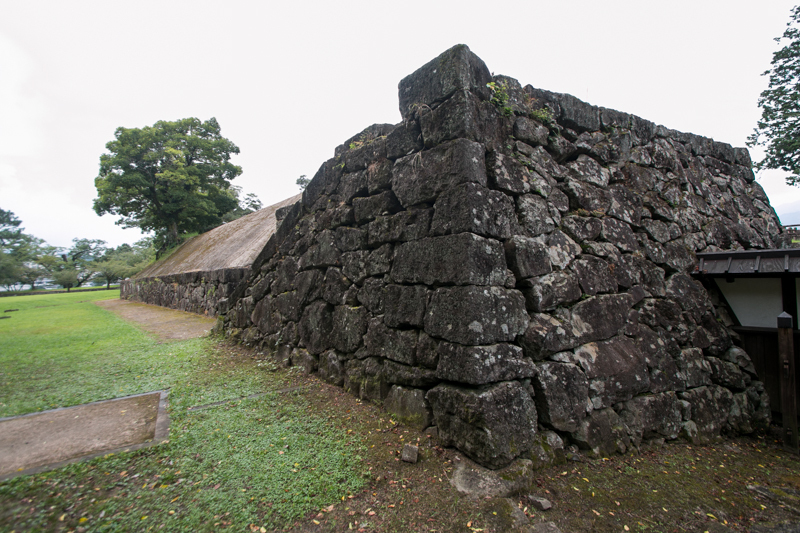 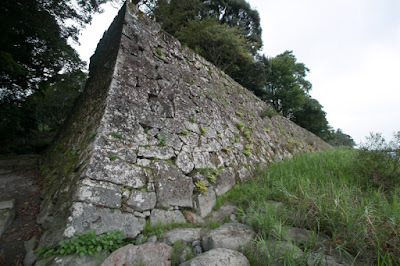 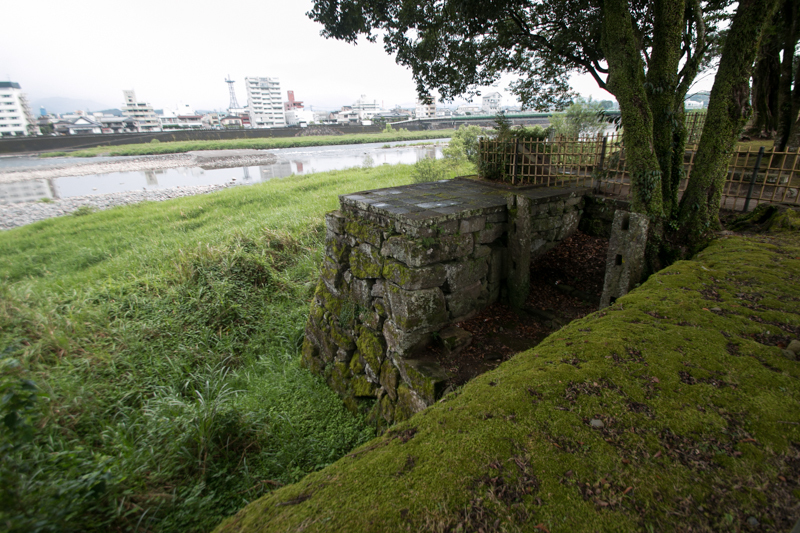 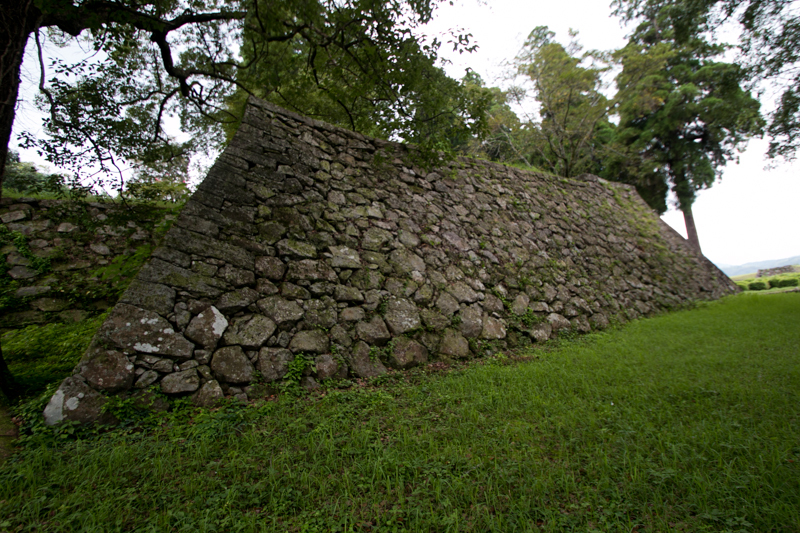 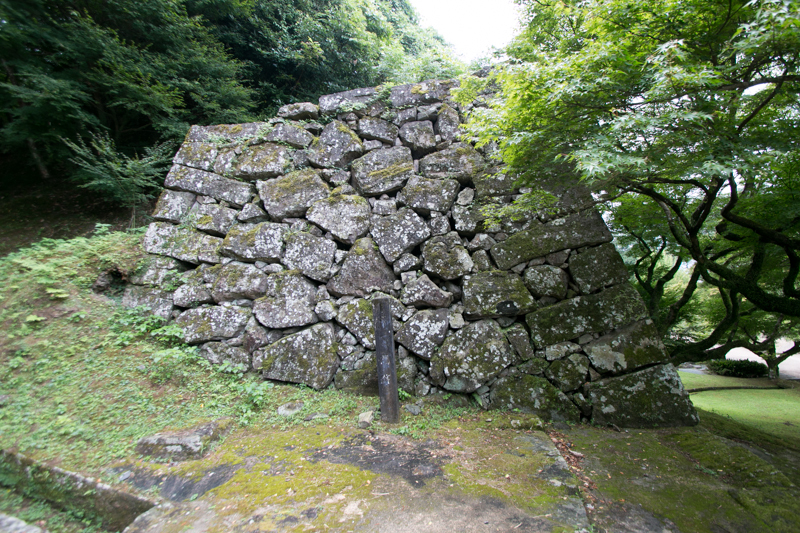 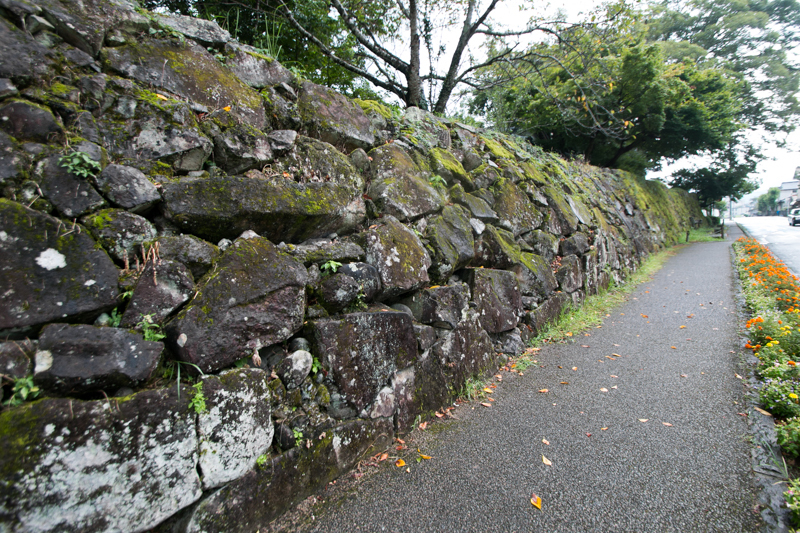 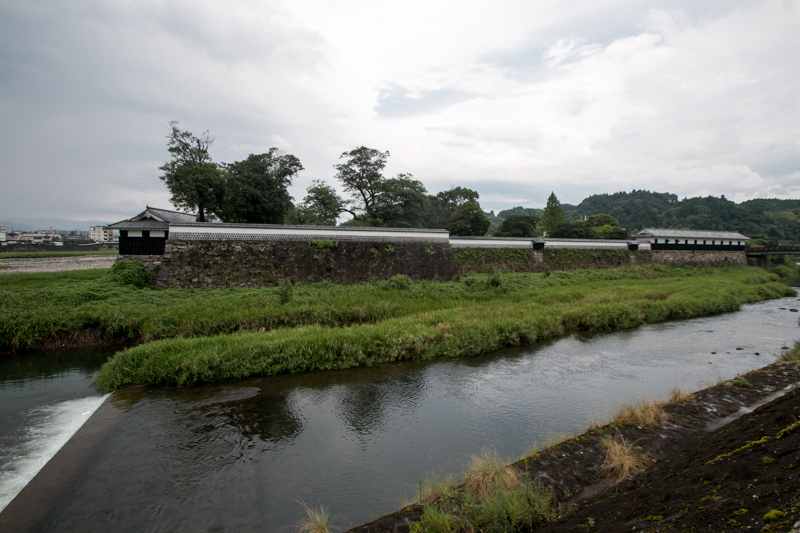 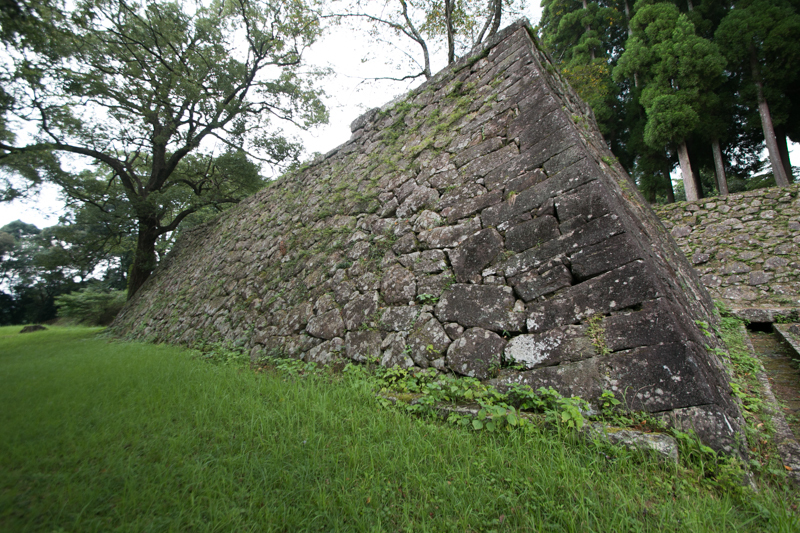 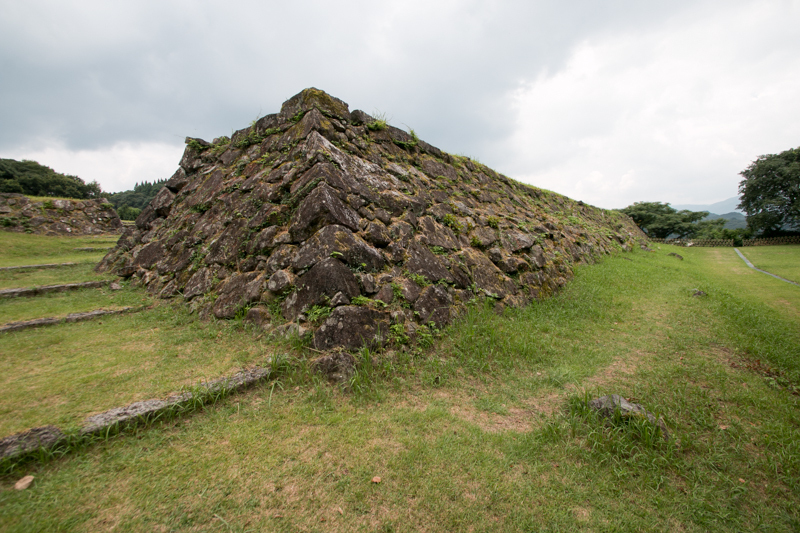 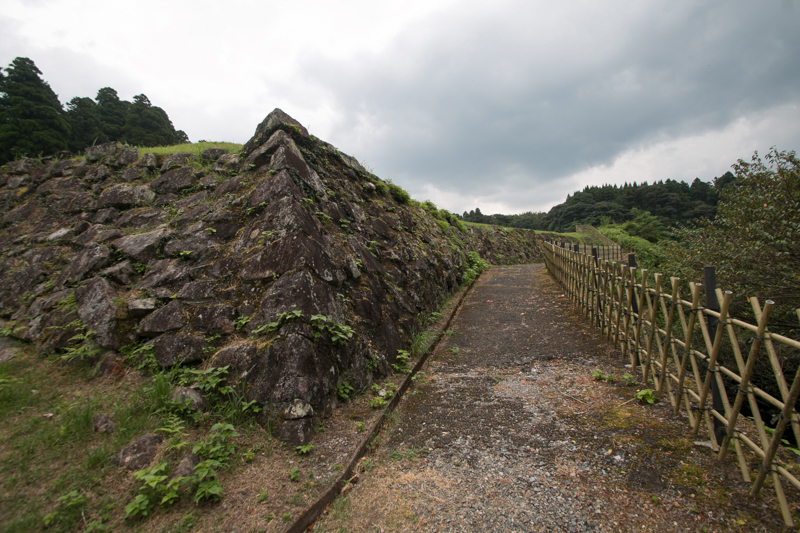 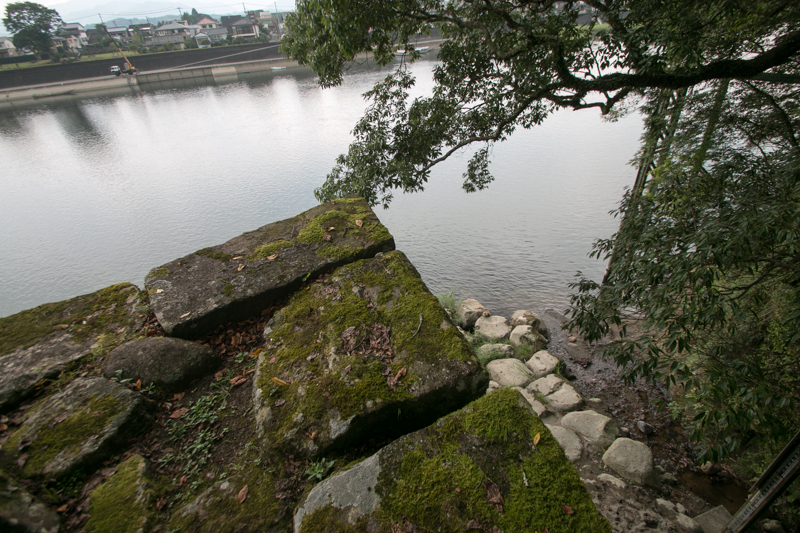 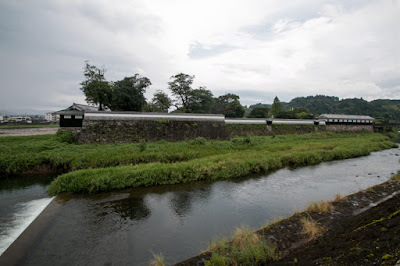 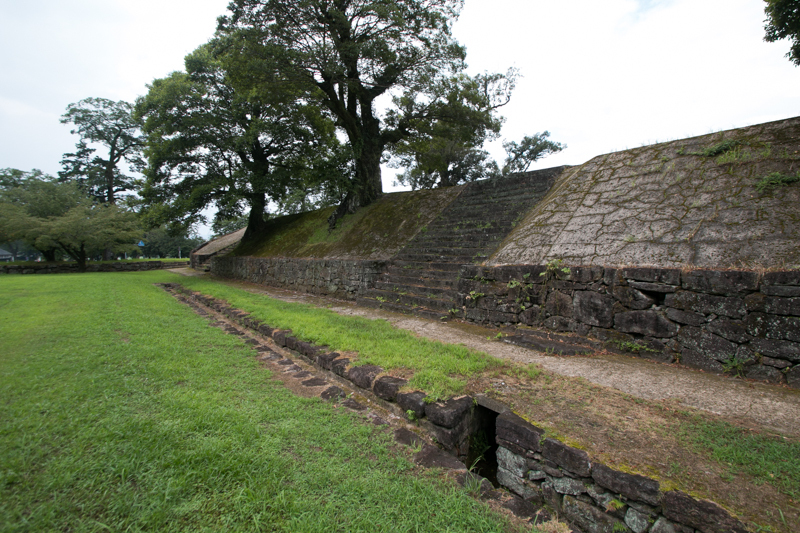 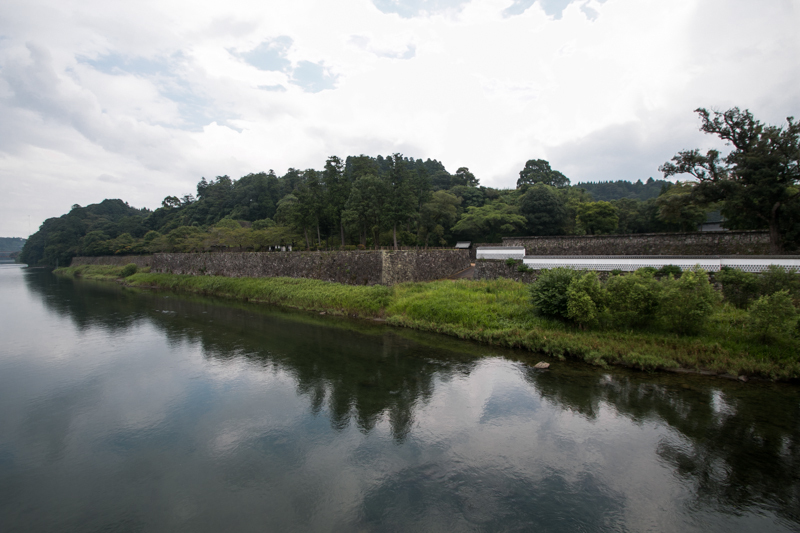 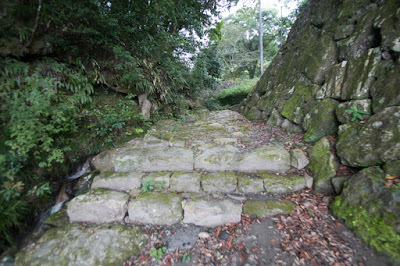 Long stone wall were built along Kuma river, and river port was also constructed. 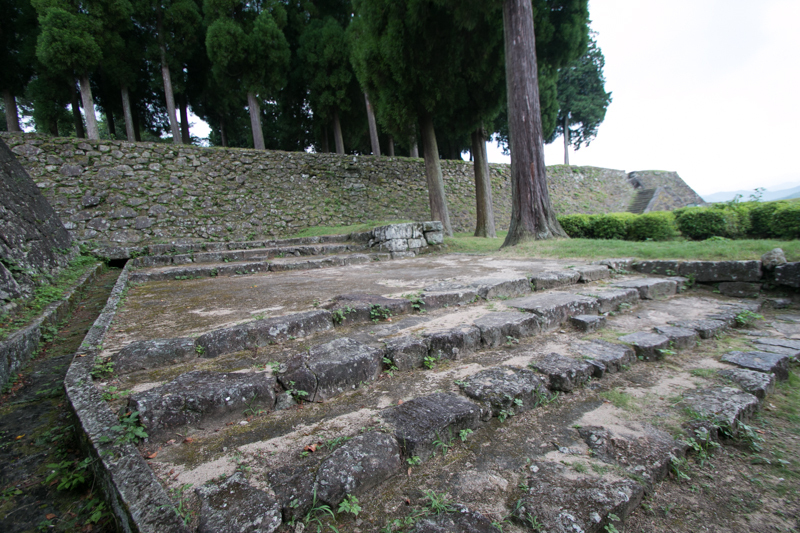 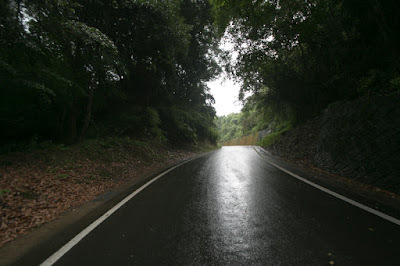 As Sagara clan kept medieval element, successive leaders suffered from weak authority. Internal conflict frequently occurred, and once the leader itself was assassinated but Sagara domain concealed this fact to Edo Shogunate and continued. 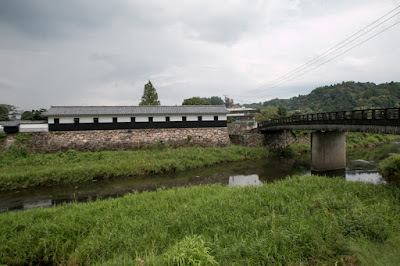 As a result, Sagara clan was one of the longest governing lord in Japan from 12th century to 19th century, along with Shimazu clan at Satsuma province and Soma clan at Mutsu province (Fukushima prefecture). 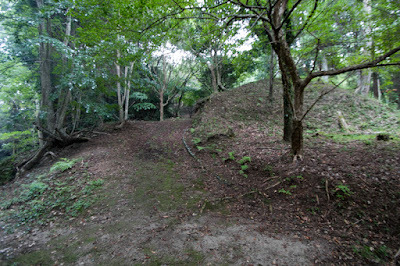 As Hitoyoshi plain was an isolated small basin in distant place and having a unique culture, demerit of movement was higher than the merit of the one. 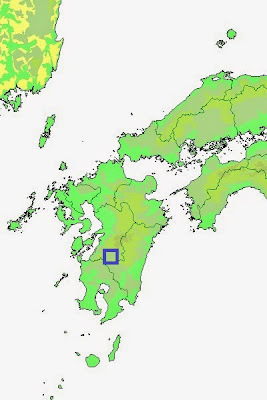 Anyway Sagara clan could keep Hitoyoshi basin by the end of Edo Shogunate. Subsequent to Meiji revolution, Hitoyoshi castle was abolished and all building was lost. 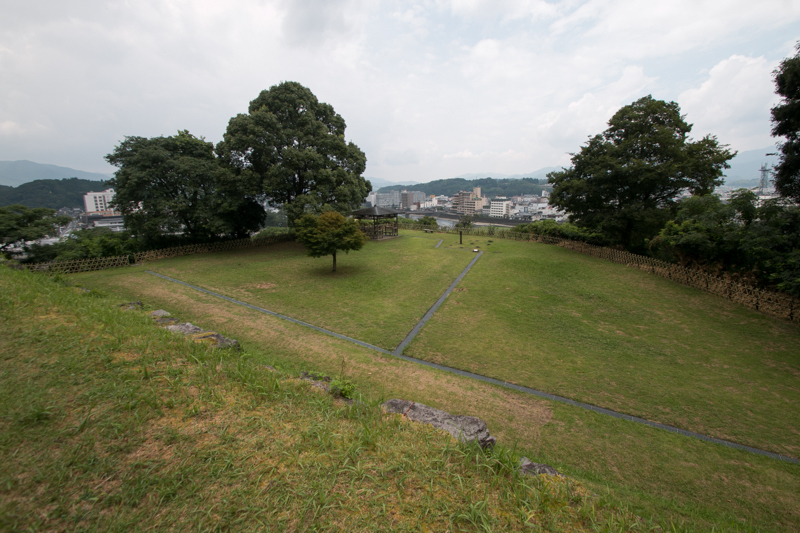 The site of the castle became a park, and beautiful stone walls and dignified exterior around main gate still remain at the hillside, along with the central area which still keeps the atmosphere of medieval era. Castle town at the opposite of the river still has many old building, and praised as a small Kyoto in Kyushu island. 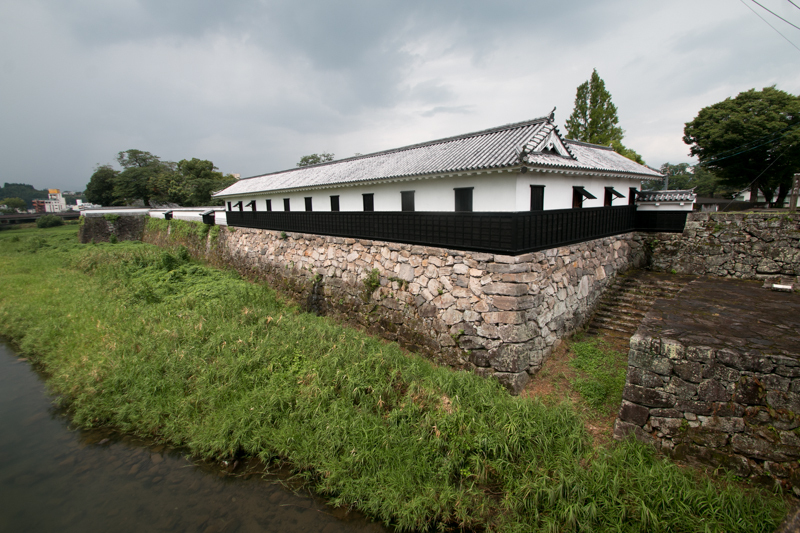 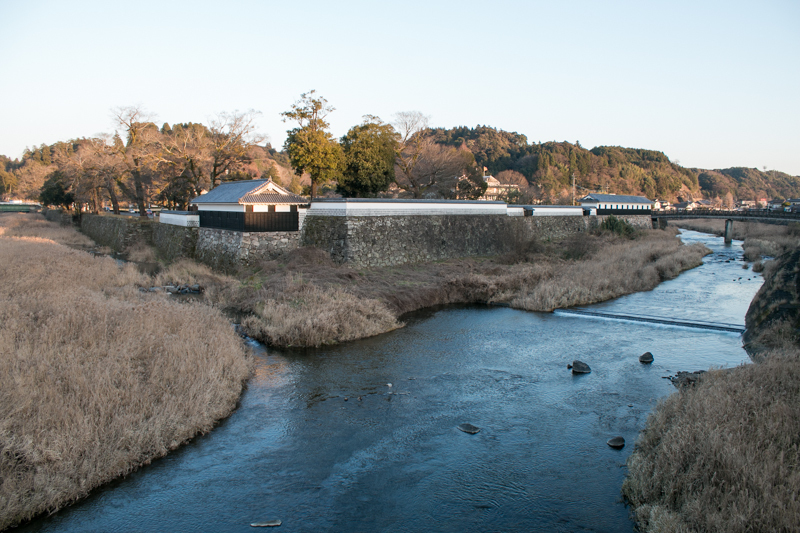 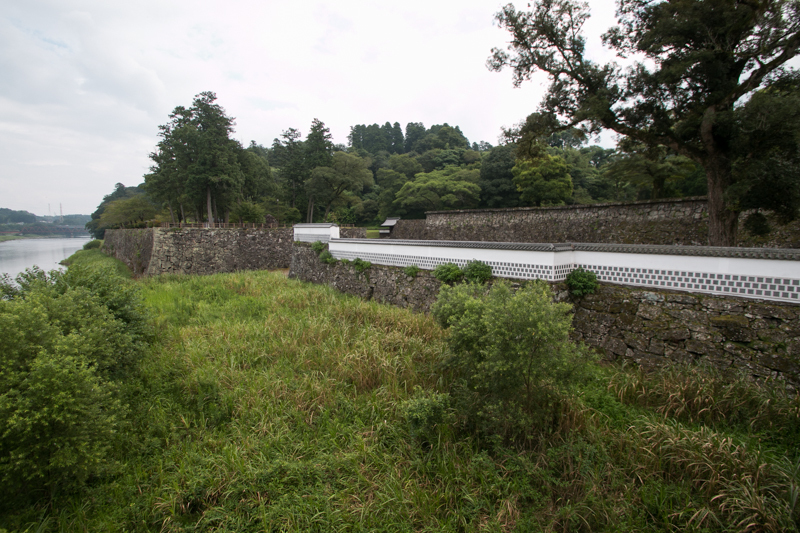 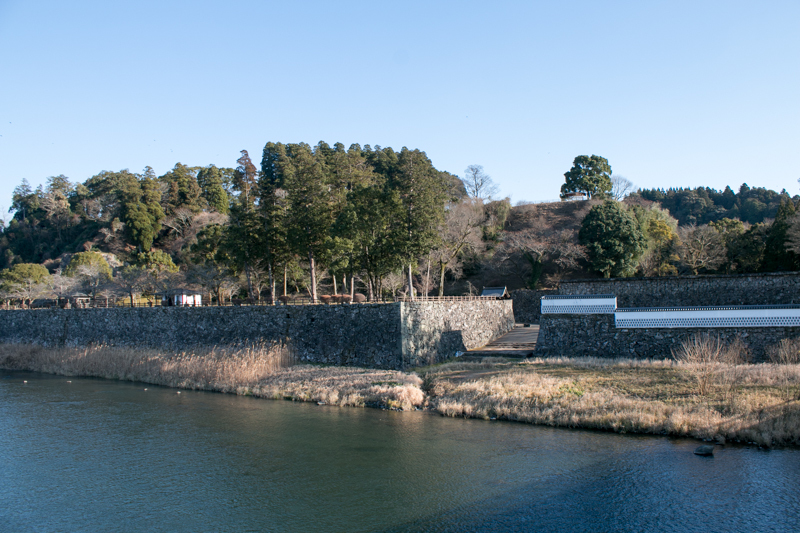 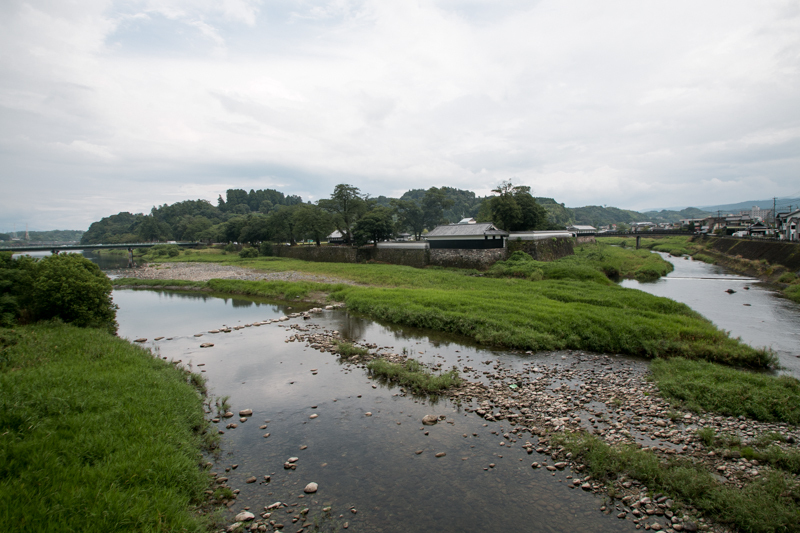 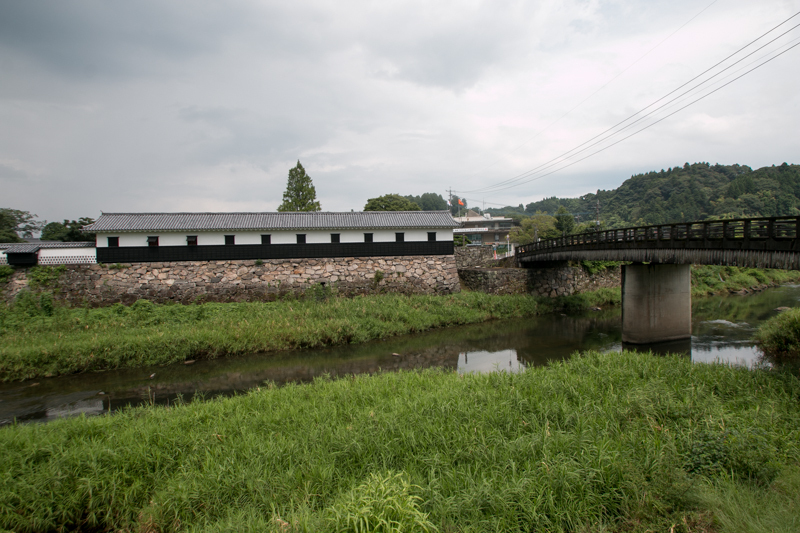 Recently barracks and fences along Kumagawa river was restored, and combination of old element and modern element of Hitoyoshi castle clearly shows long turbulent history of Sagara clan over 700 years. 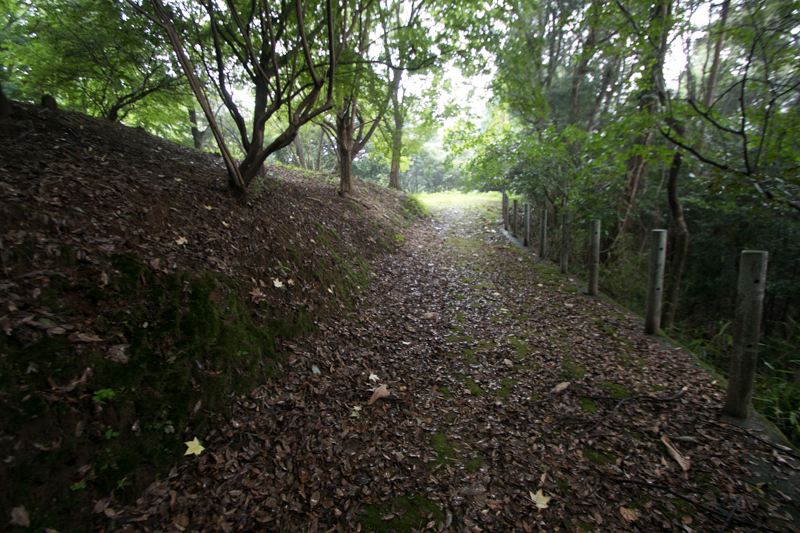 15 minutes walk from JR West Hisatsusen line Hitoyoshi station. 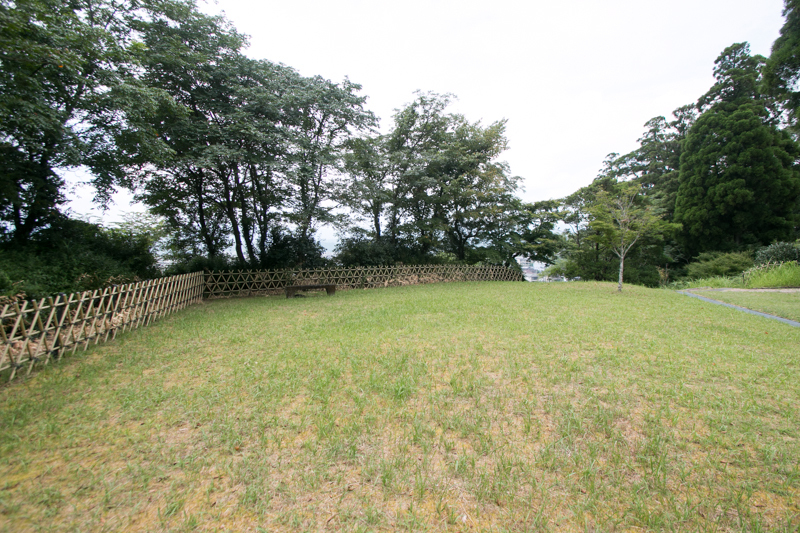 15 minutes drive from Kyushu Jidoshado Expressway Hitoyoshi interchange.